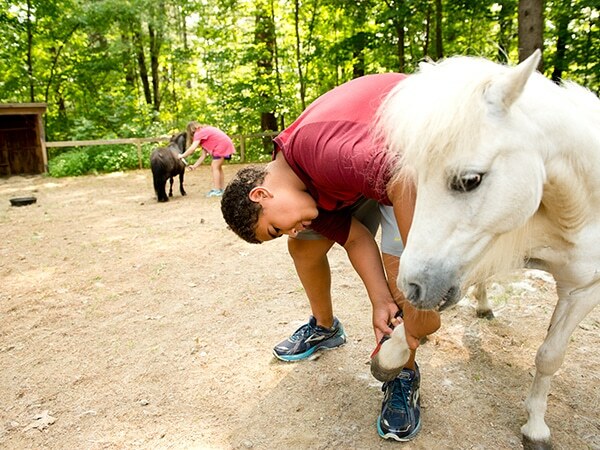 Windsor Mountain offers hundreds of both traditional and unique activities for kids and teens every summer in a variety of areas including music, arts, sports, theatre, ropes course, zip-line, rock-climbing, archery, farm and garden, sailing, swimming, wilderness adventure, environmental awareness, community service and more. 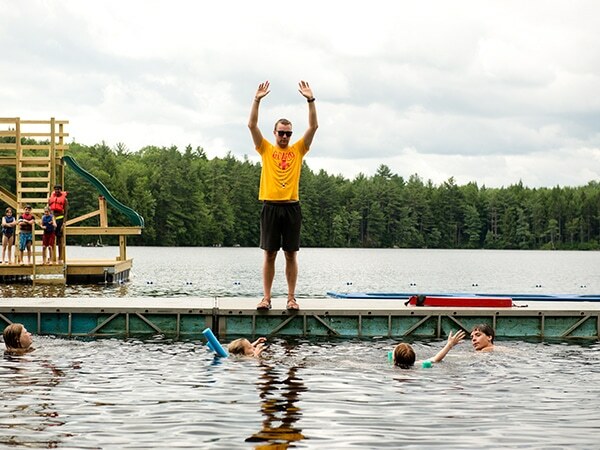 Swim instruction is our only required activity. 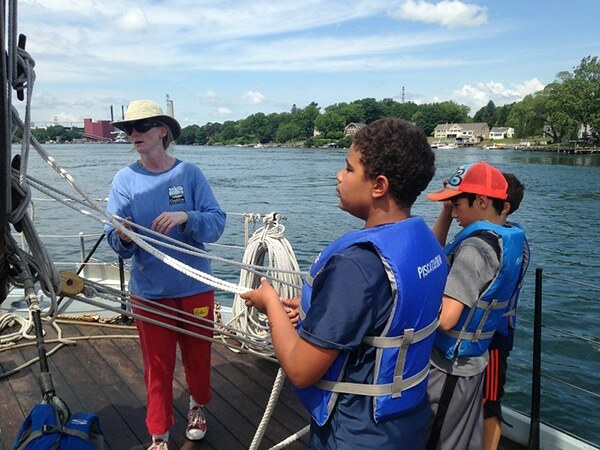 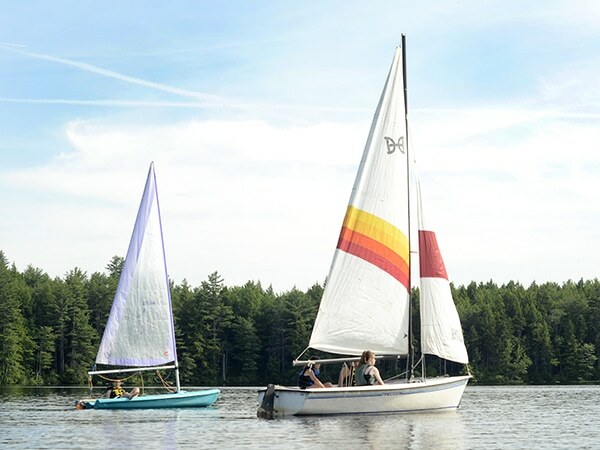 We also offer specialty programs in sailing, visual arts, performing arts and film-making, as well as 3-day wilderness adventure trips. 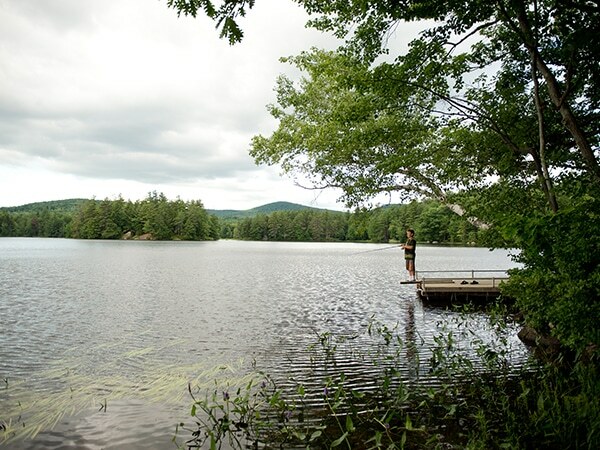 Windsor Mountain rests on the shore of a secluded motor-free lake with access to a natural preserve, islands and marsh, all ripe for exploration. 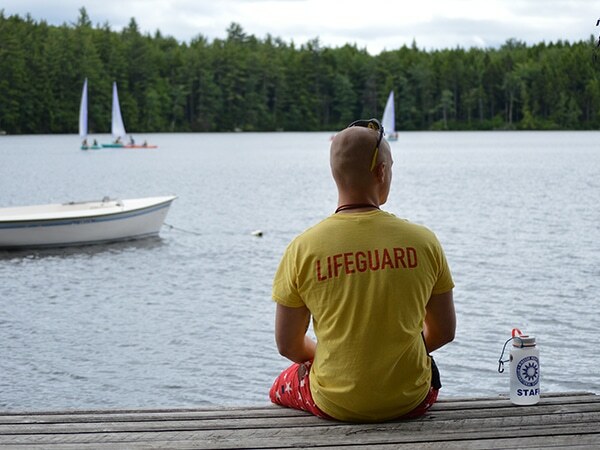 Experienced, certified instructors teach all Red Cross swim levels, rescue and safety skills, and diving. 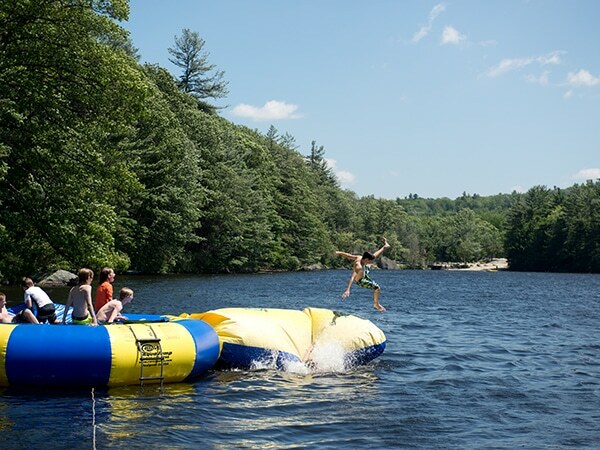 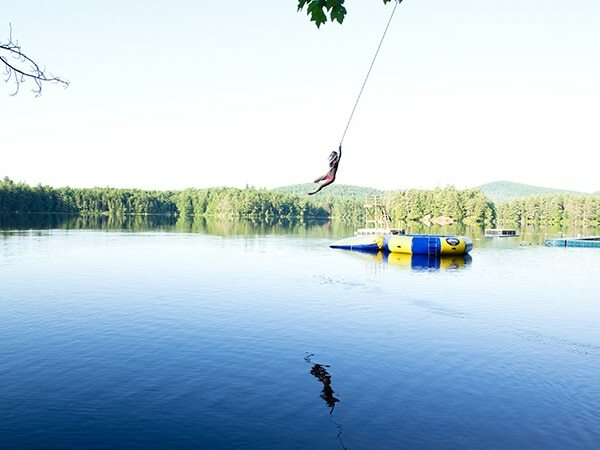 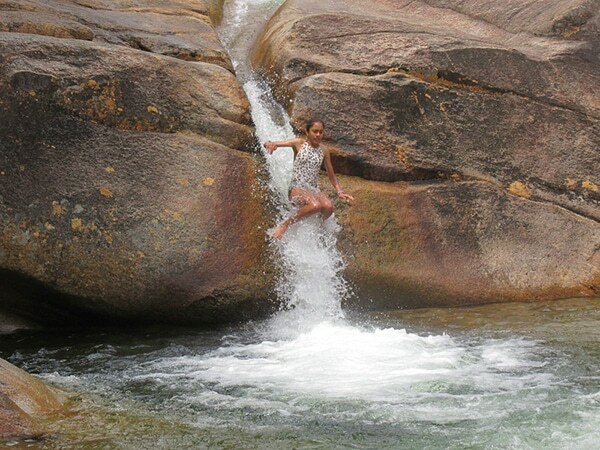 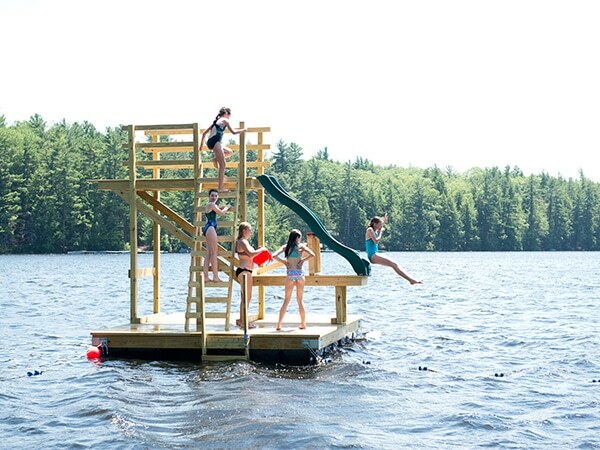 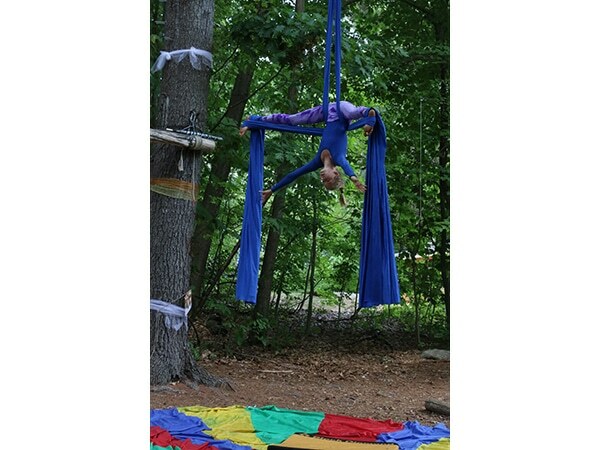 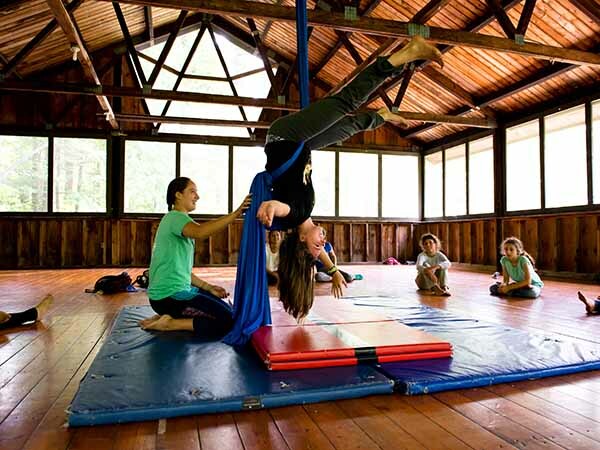 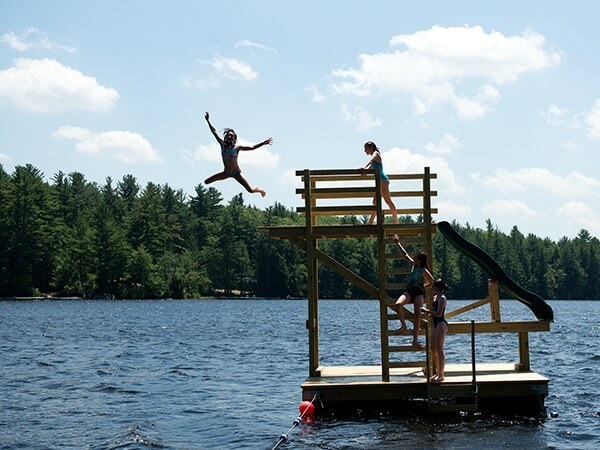 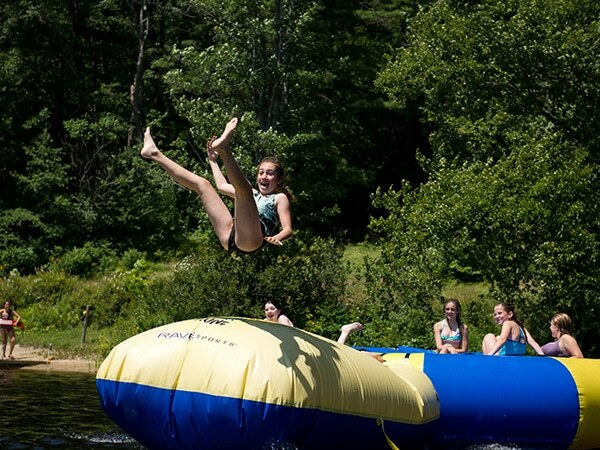 Beyond the basics, campers love our classic rope swing, dive tower, intense bike launch, water trampoline, campfires on rafts, sailboats, canoes, kayaks and sauna. 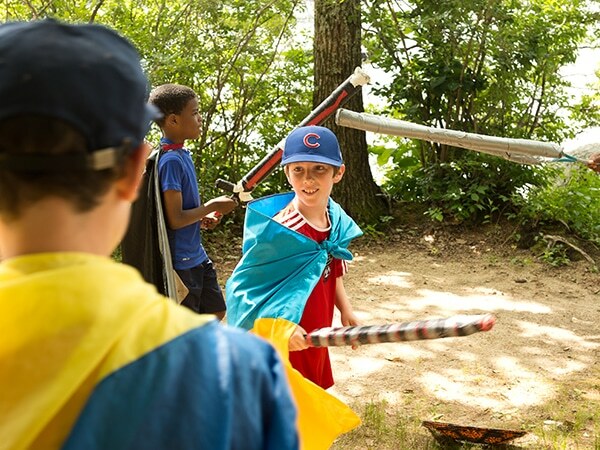 From adventures to the islands and marsh to a game of “ARRRRGGGHH!” (capture the flag on water), the waterfront is always hopping. 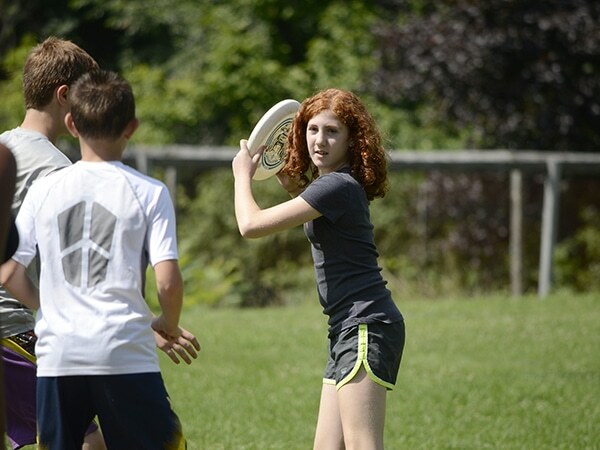 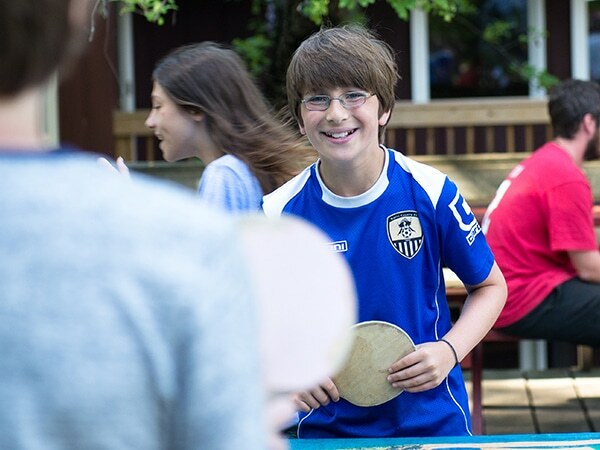 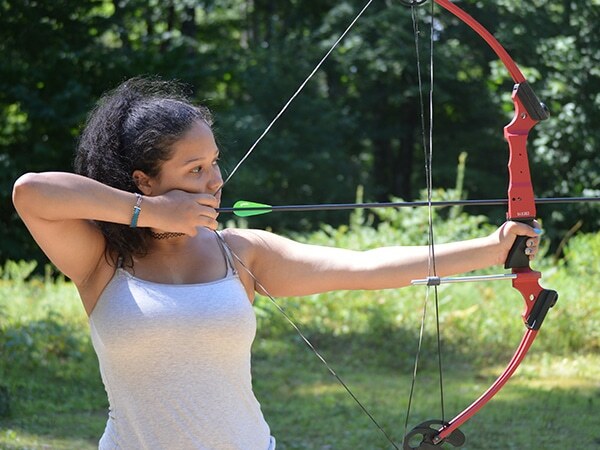 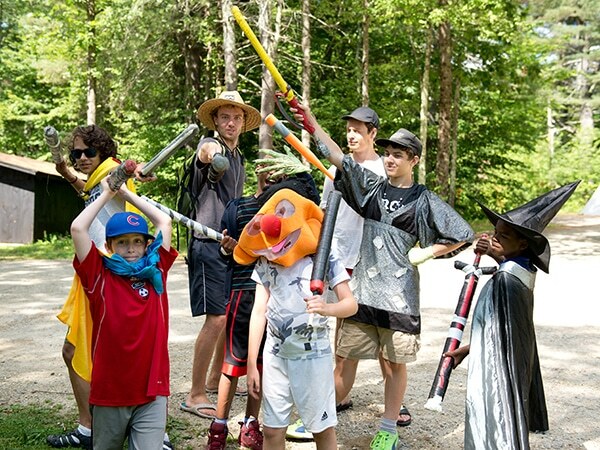 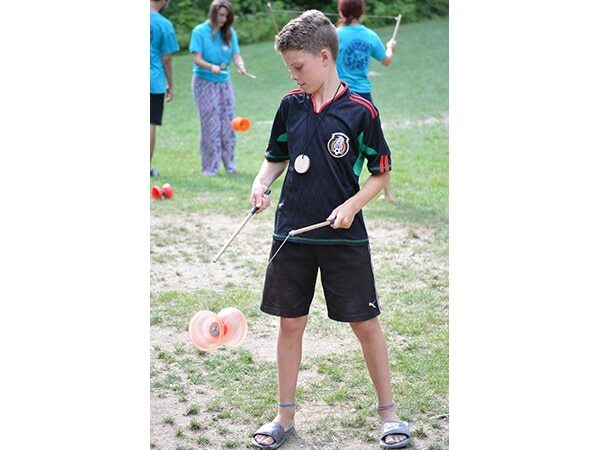 There is so much to choose from: basketball, tennis, soccer, softball, archery, martial arts, volleyball, cricket, tetherball, mountain biking (new bikes in 2010), yoga, jogging, ultimate frisbee golf, ping-pong or a Windsor Mountain phenomenon: Gatorball… Some campers are gifted athletes. 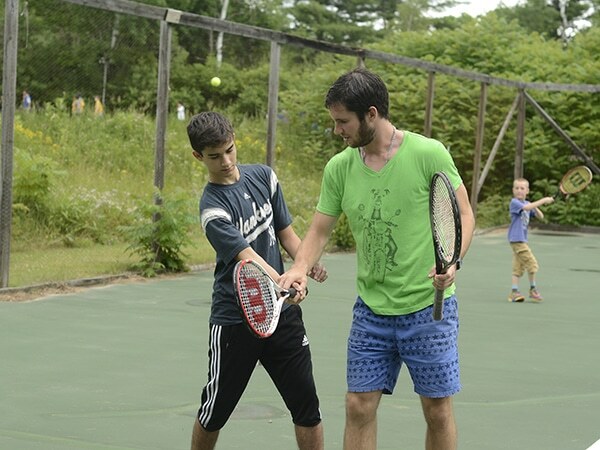 Some want to work closely with a counselor to develop skills. 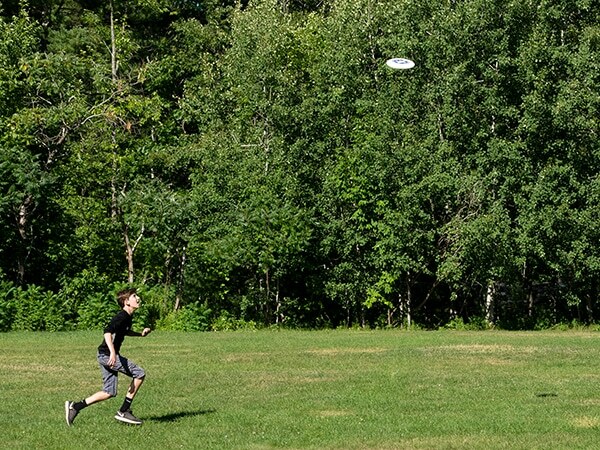 Others want to play and just have fun. 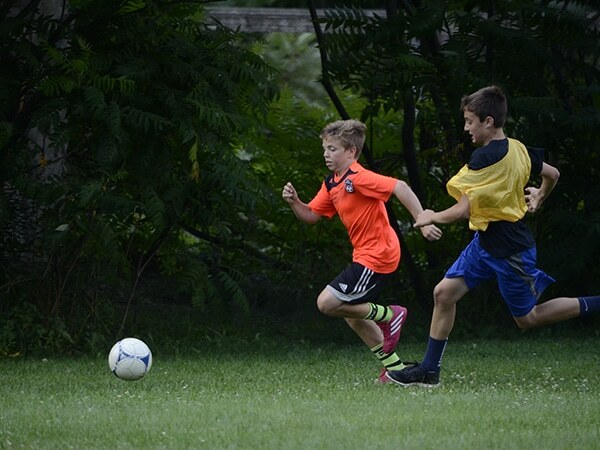 We are a non-competitive camp and welcome all skill levels. 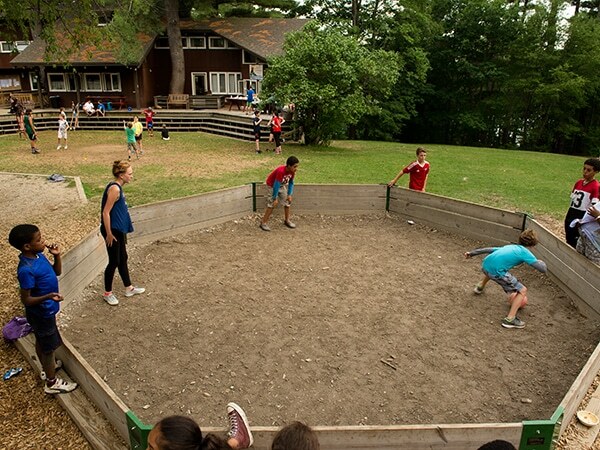 Our staff is prepared to impart technical skills and to foster sportsmanship that focuses on fun and inclusion. 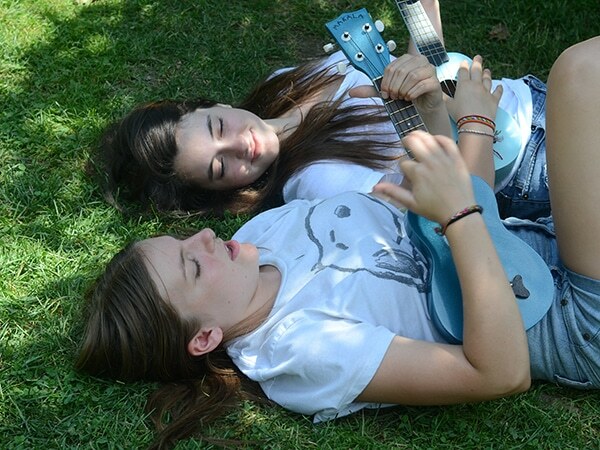 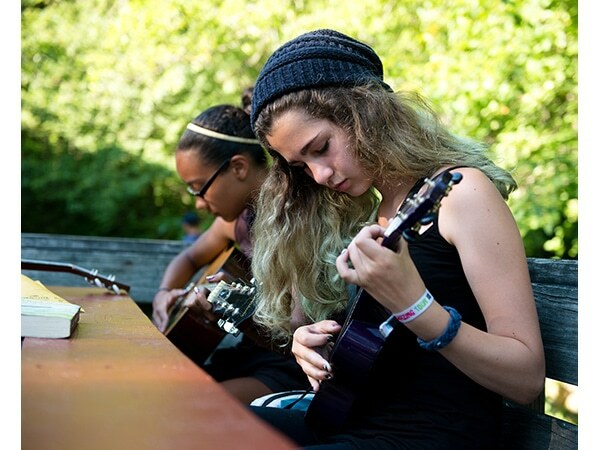 Join a beginning guitar class and learn to play Rock, Reggae, Jam or Folk. 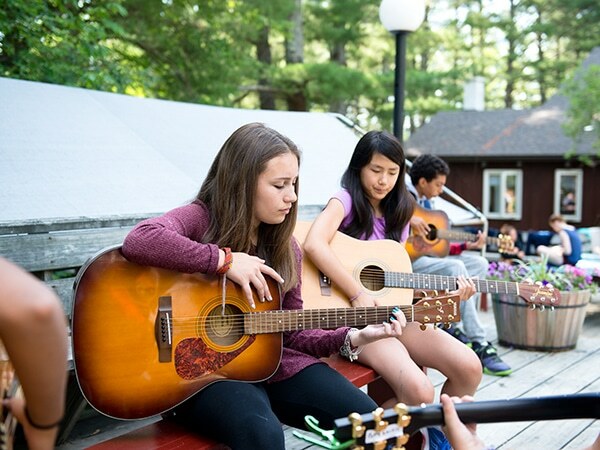 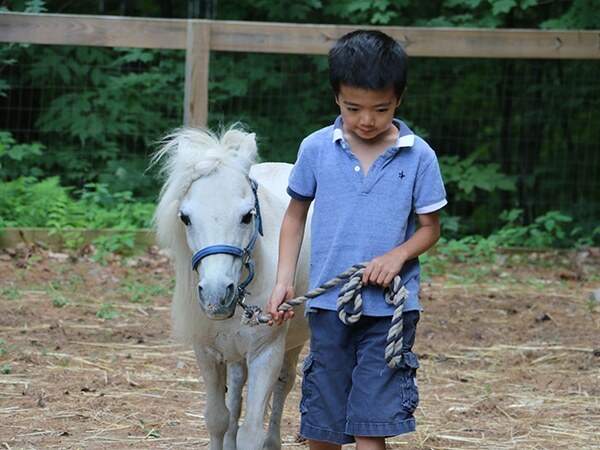 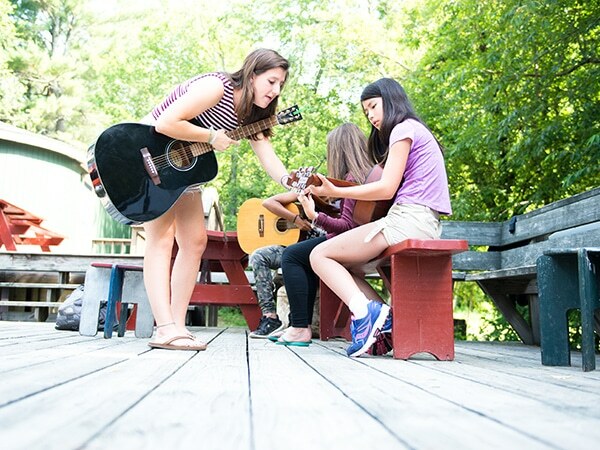 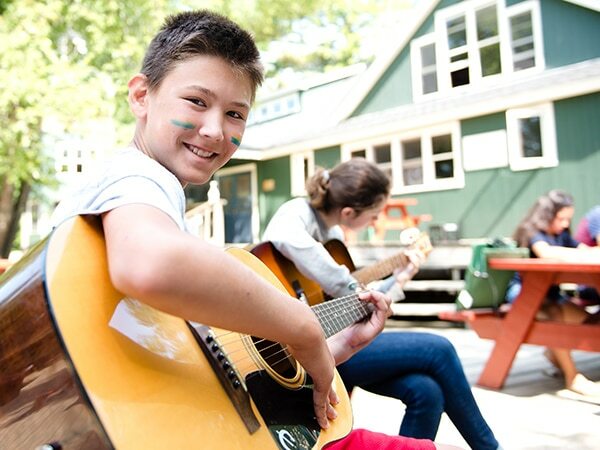 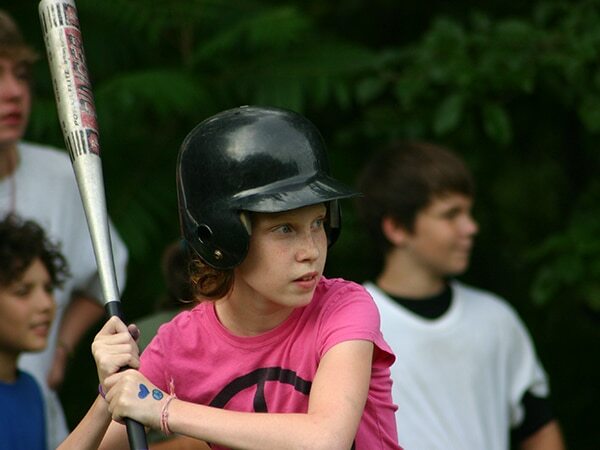 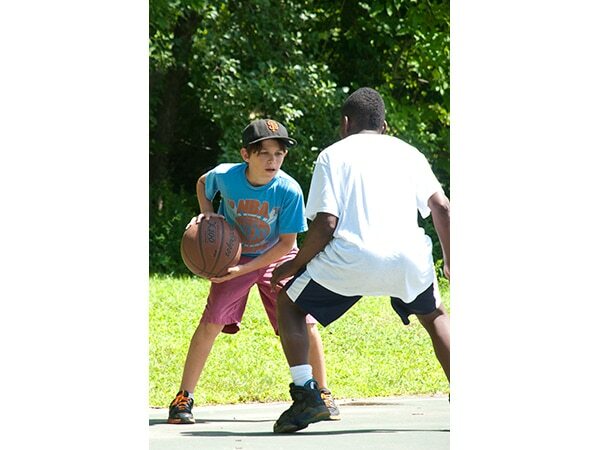 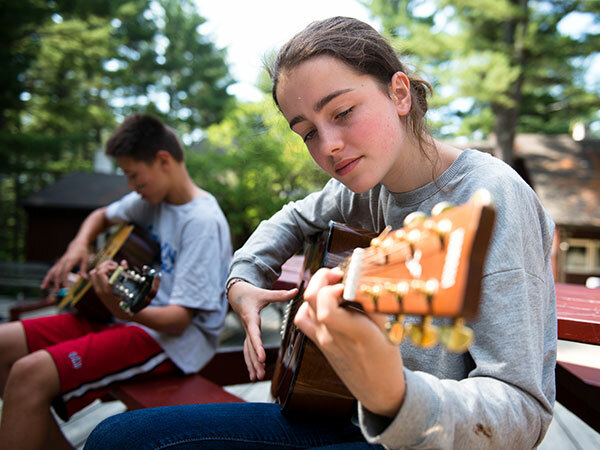 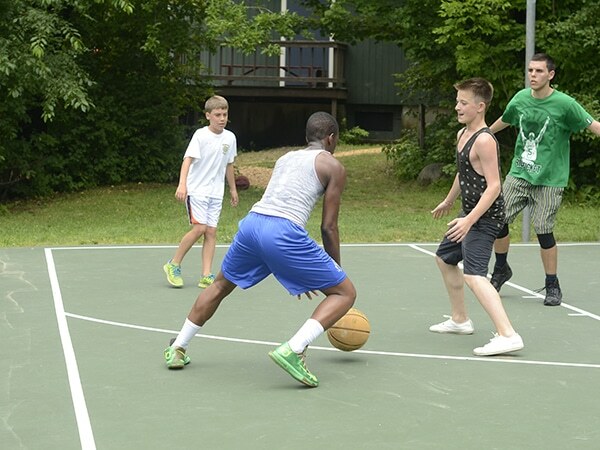 Countless campers have learned to play at Windsor Mountain and even more have honed their skills. 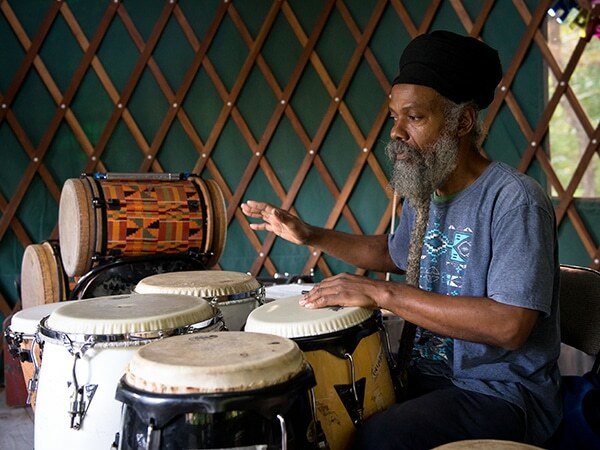 We also teach banjo, African drumming (with legendary Jamaican drummer, Maroghini), song-writing, acapella, jazz and spoken word. 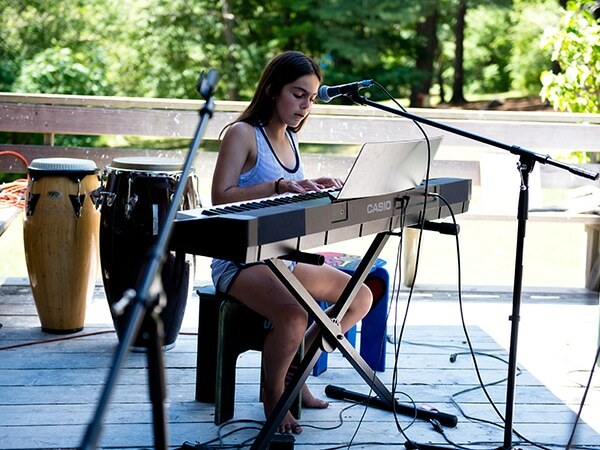 Music is an integral part of life here. 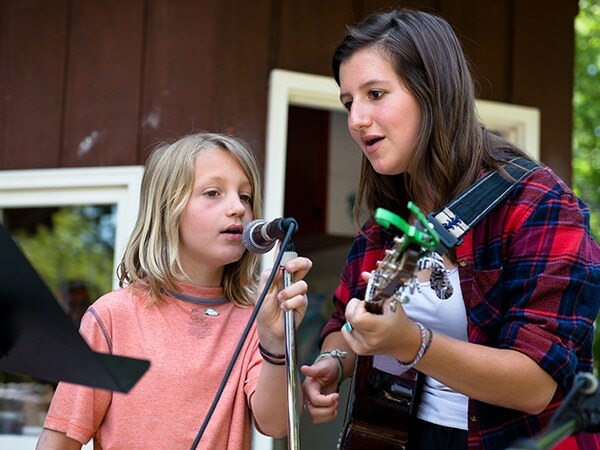 Camp fires, talent shows, and special guests pepper the campus air. 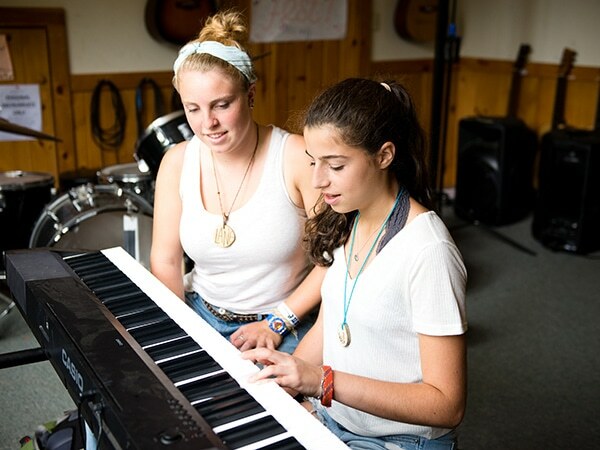 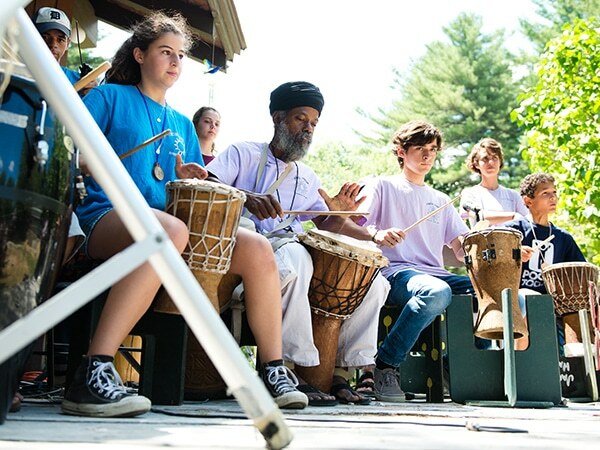 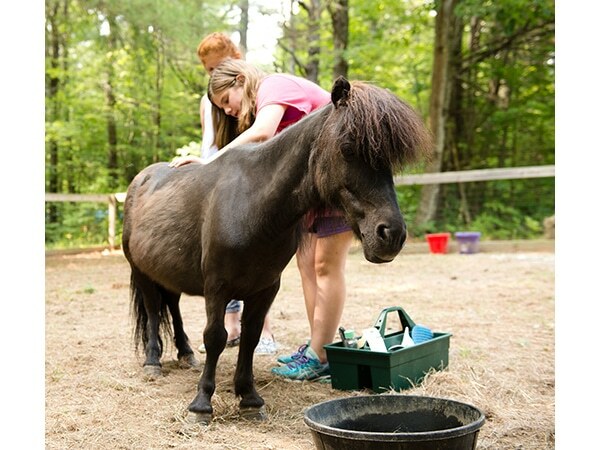 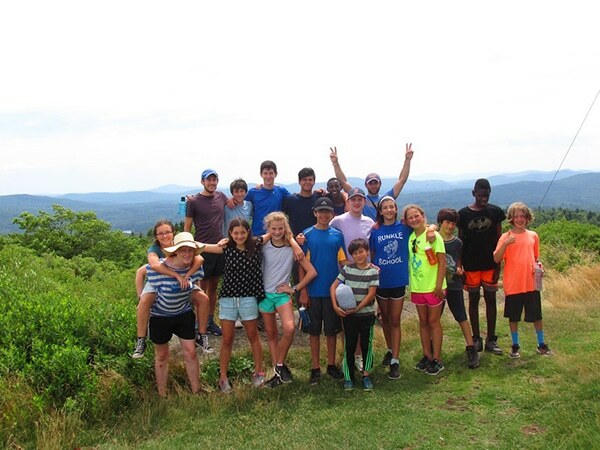 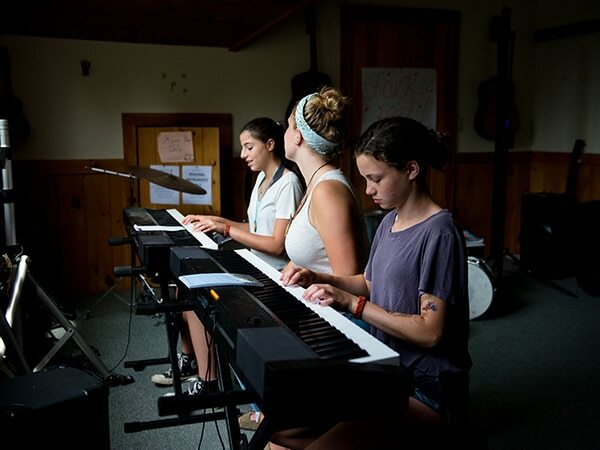 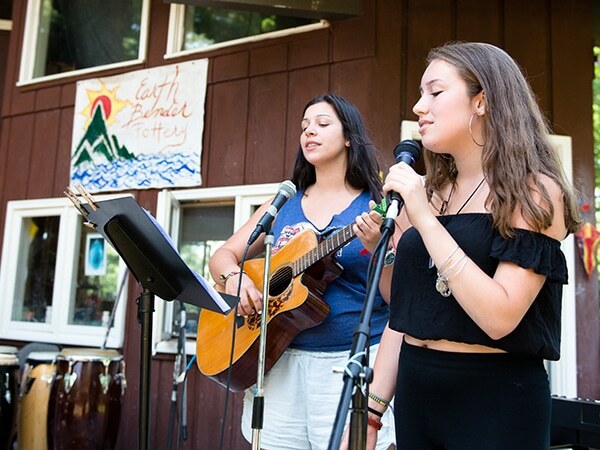 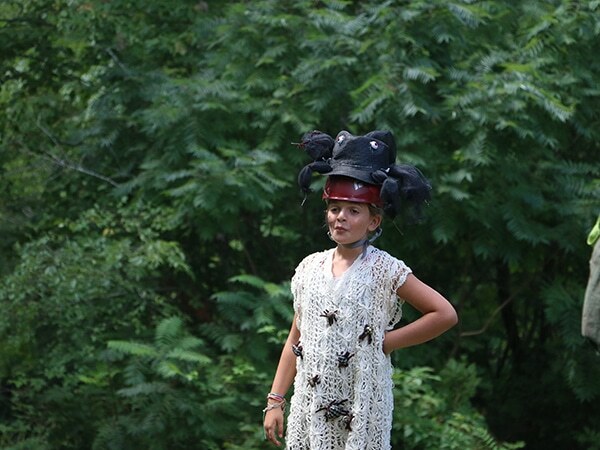 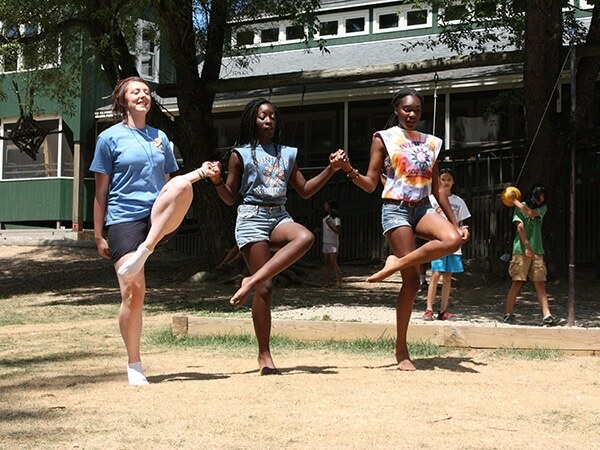 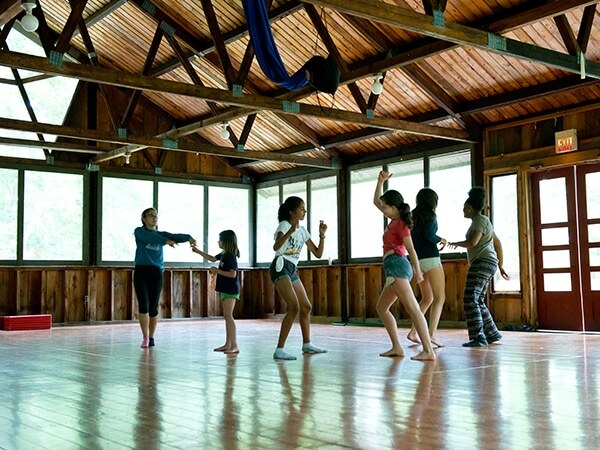 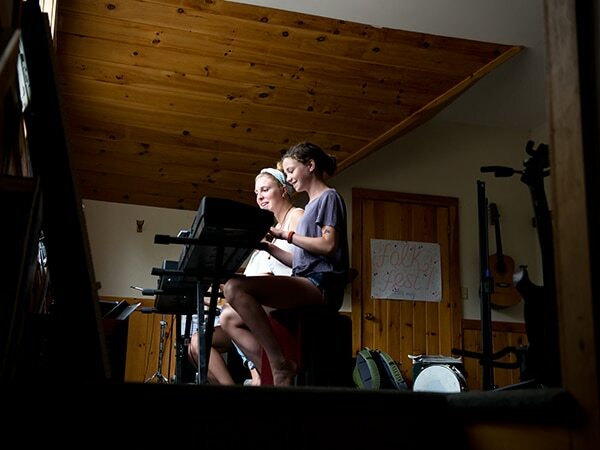 On the last day of our July session, Music Fest highlights talented campers and staff. 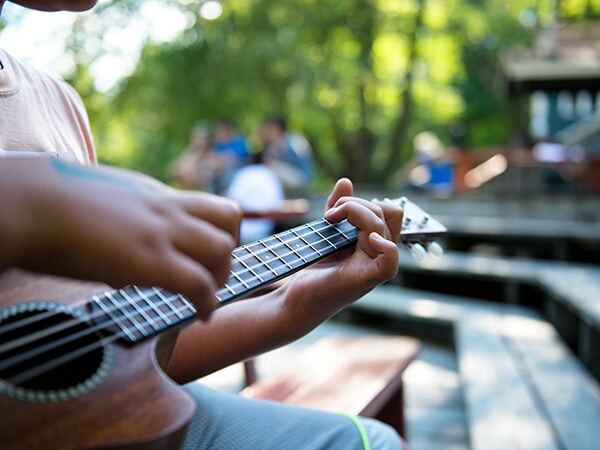 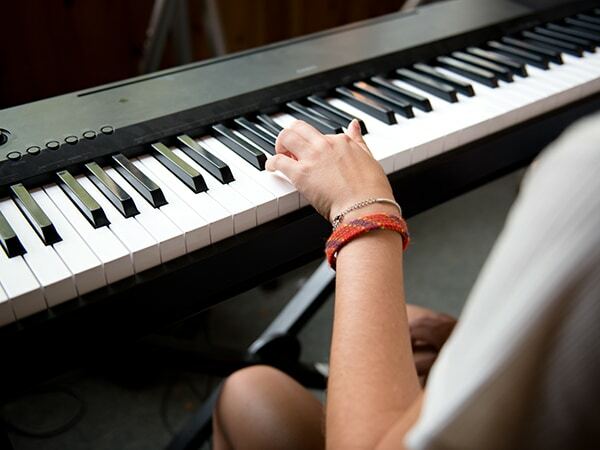 We encourage you to bring your own instrument or feel free to use one of ours. 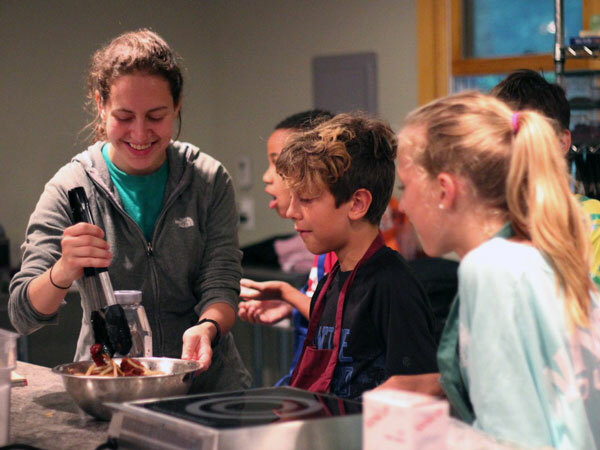 The Culinary Arts department offers campers the opportunity to learn both basic and advanced cooking techniques in our new state-of-the-art Culinary Arts Studio. 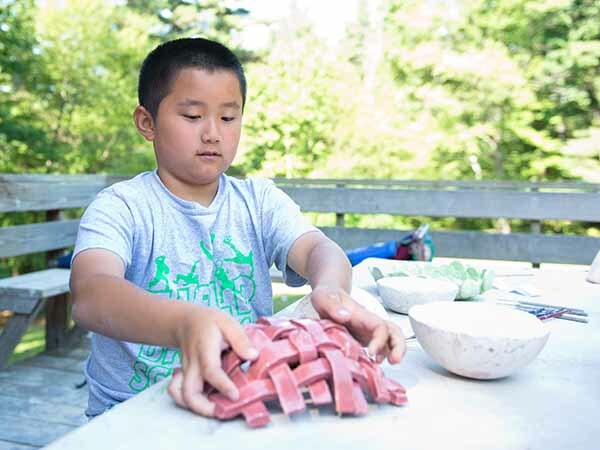 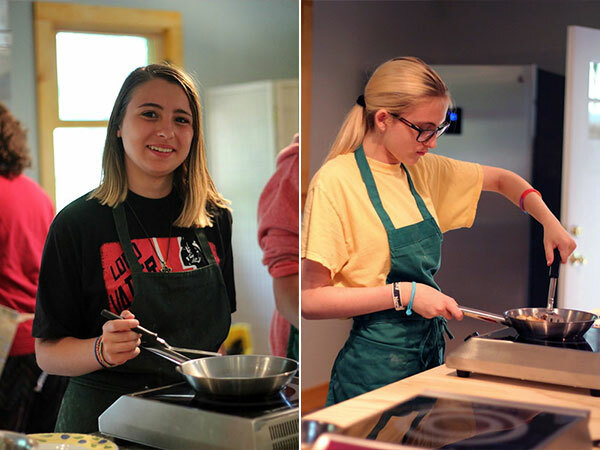 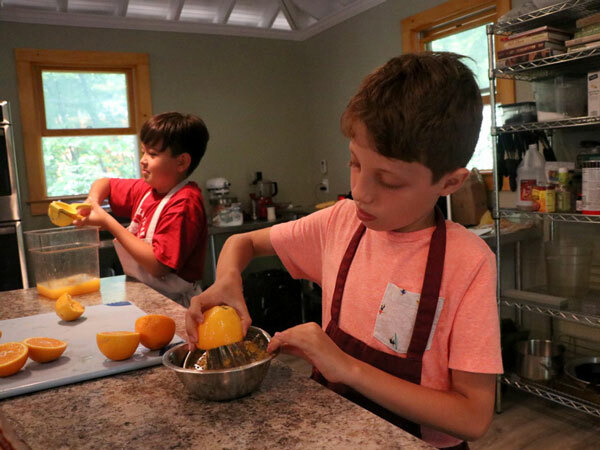 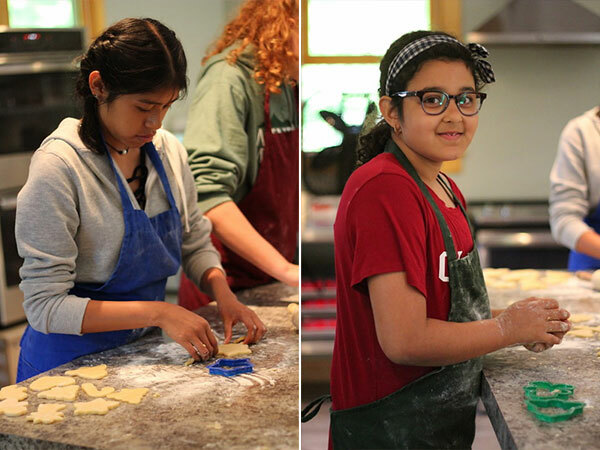 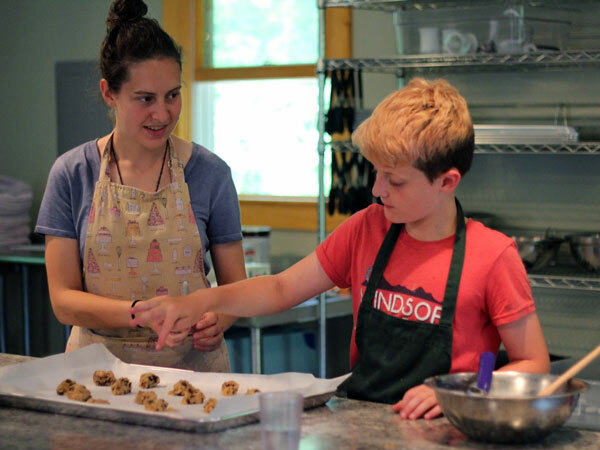 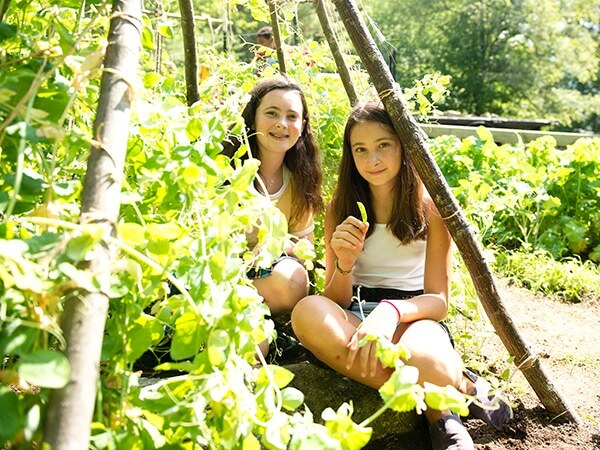 Led by two professional chefs, this fun and educational program will challenge campers to develop their creative culinary instincts and skills in the kitchen. 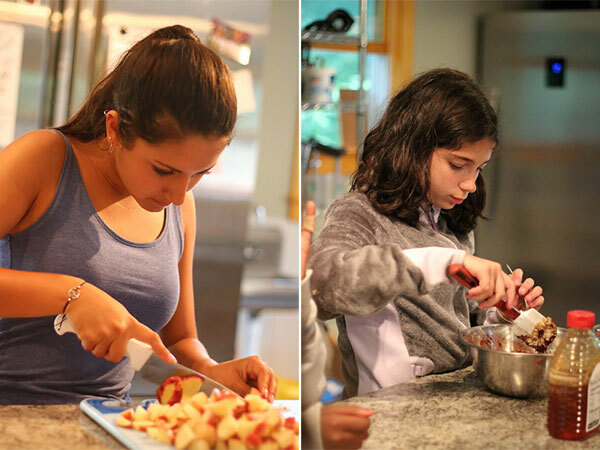 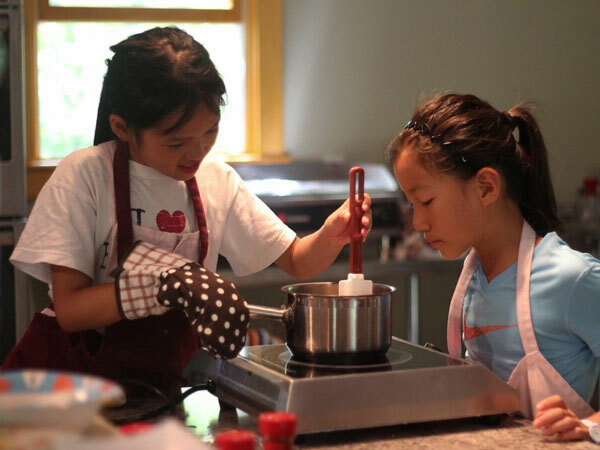 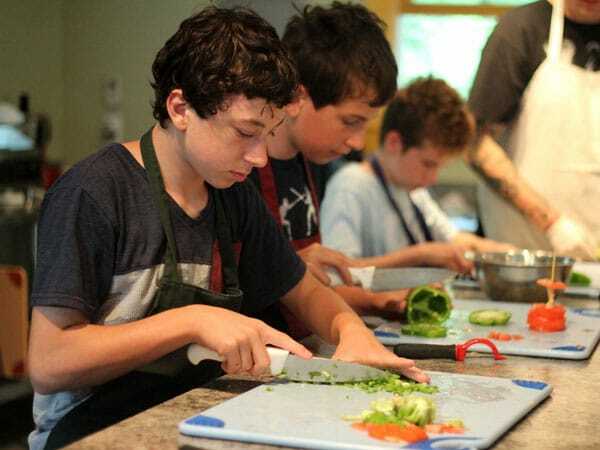 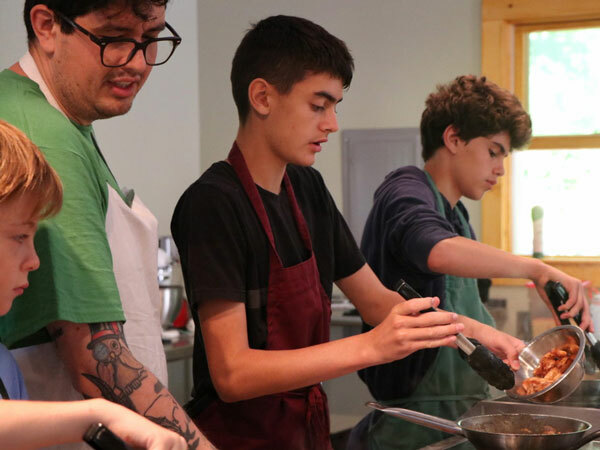 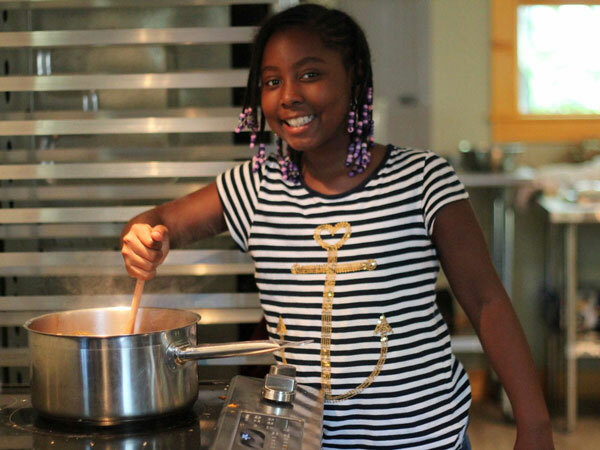 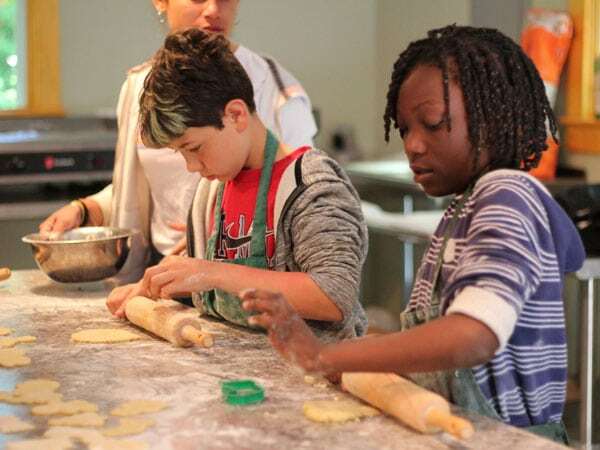 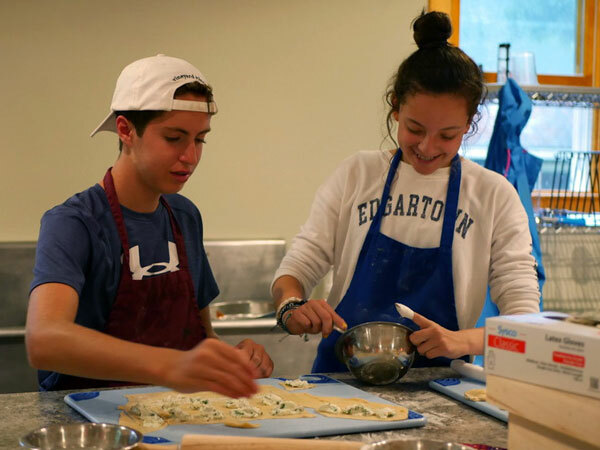 Campers work at their own cooking stations with fresh ingredients to make a diverse array of international and domestic dishes while learning critical culinary techniques such as knife-skills, sautéing and preparing homemade pasta and baking. 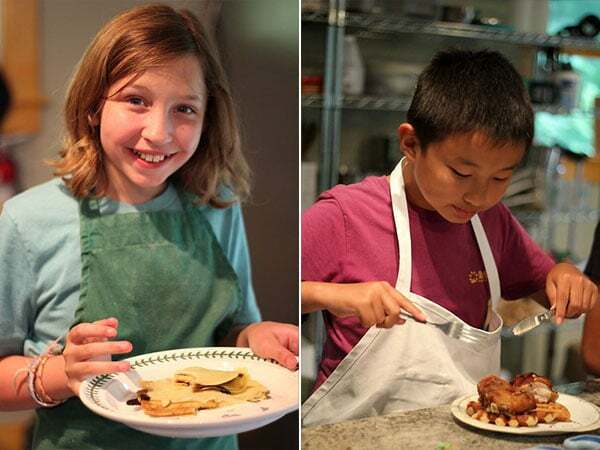 Every camper will learn how to create delicious dishes and will leave with recipes for meals that they can recreate when they return home (you’re welcome). 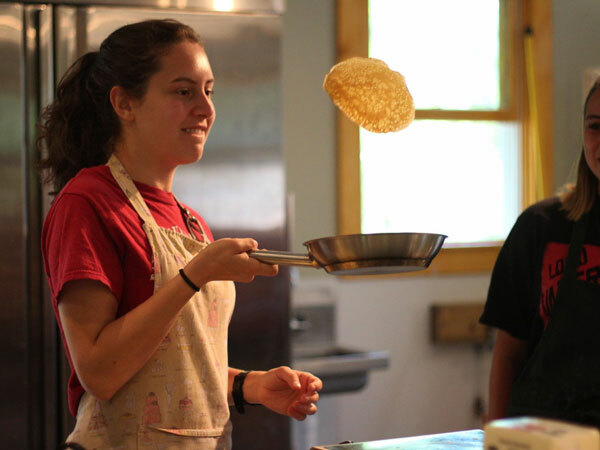 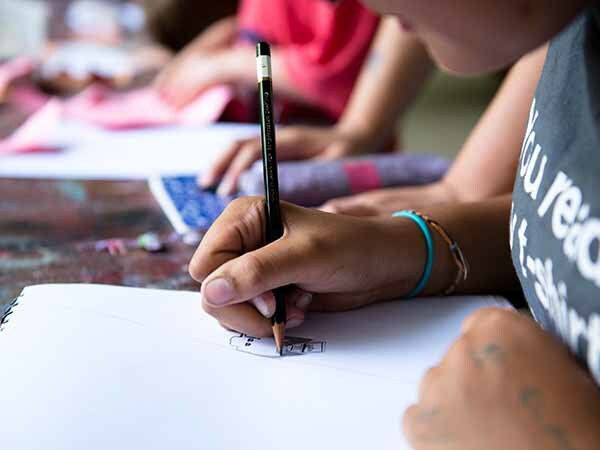 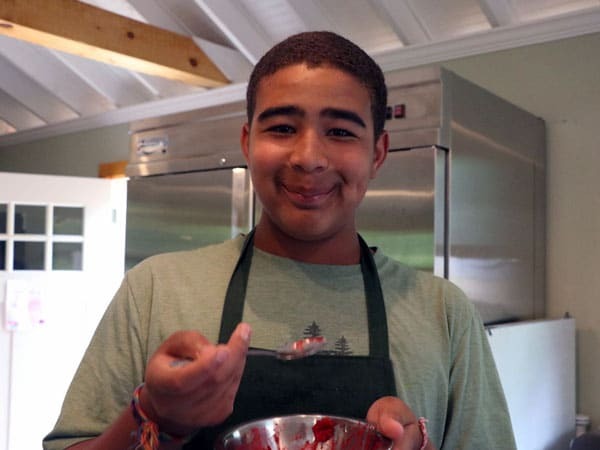 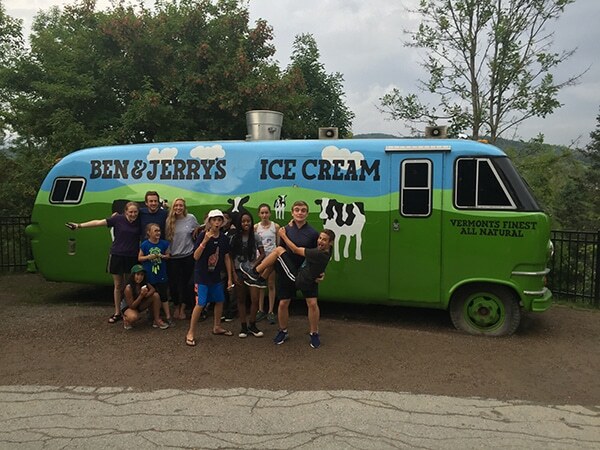 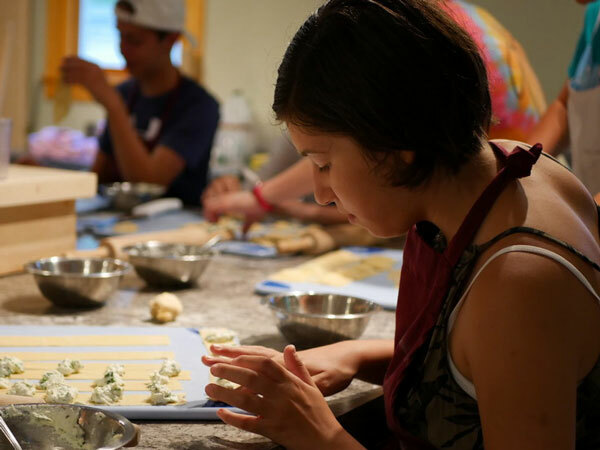 Our goal is to offer a fun, safe, and professional culinary environment where campers can learn to creatively express themselves while making their culinary dreams a reality. 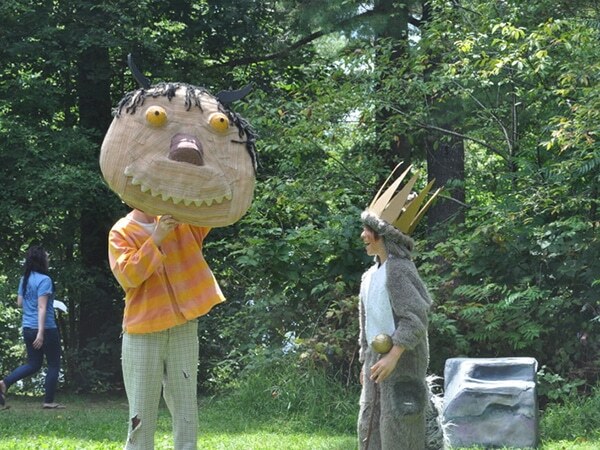 Imaginations soar! 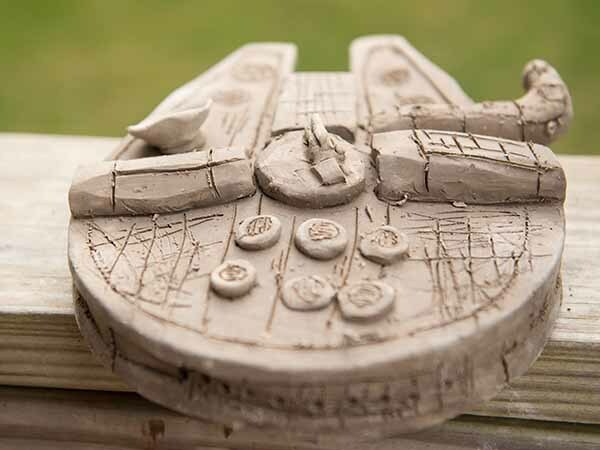 Paint flies. 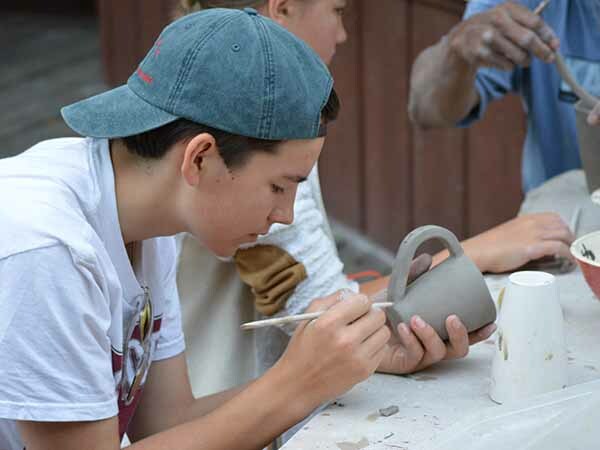 Clay spins and fires. 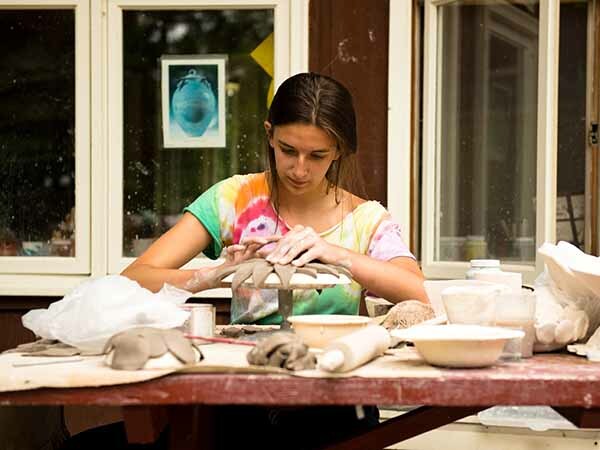 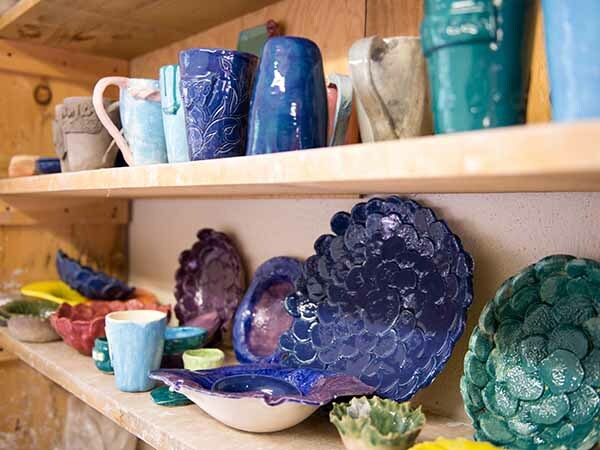 Welcome to Windsor Mountain’s Art Lab, a collection of facilities where students let creativity guide their projects. 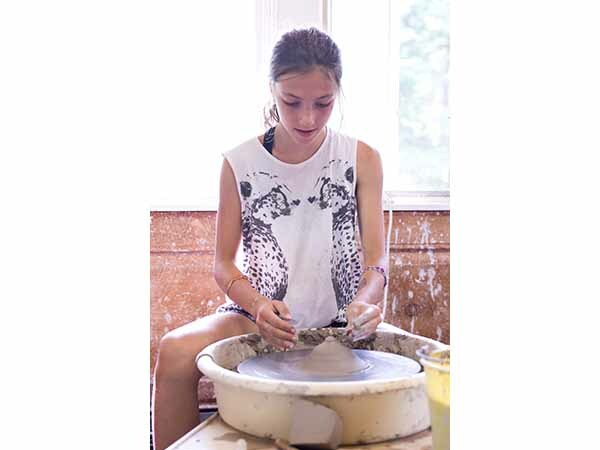 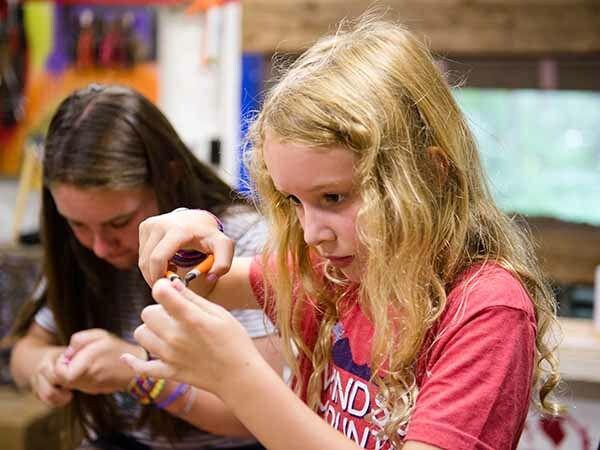 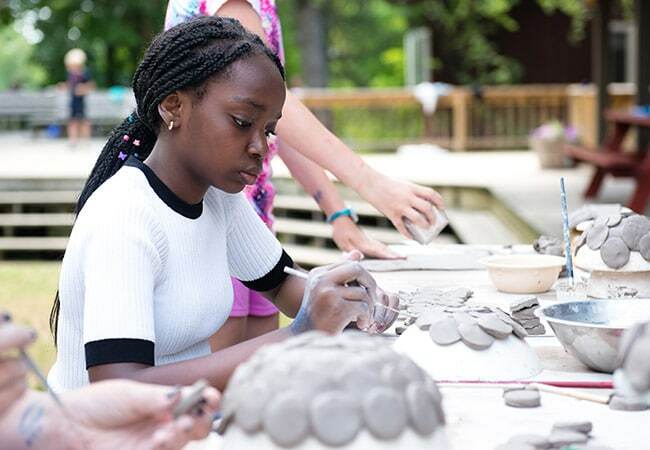 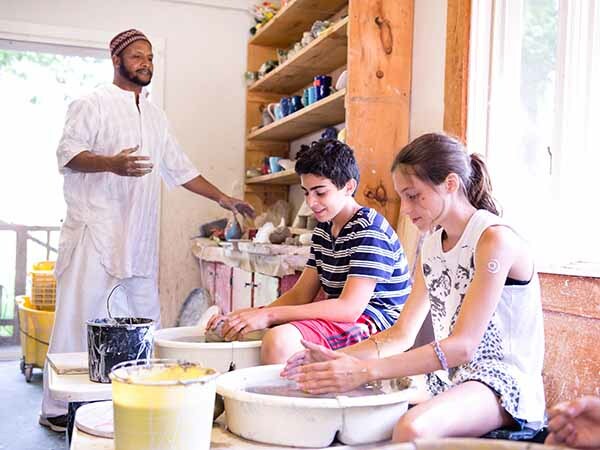 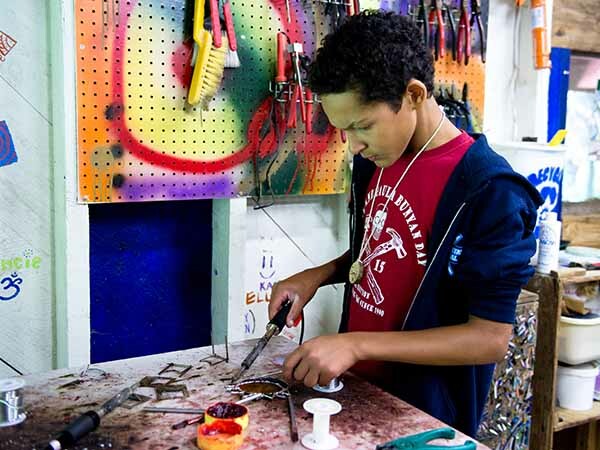 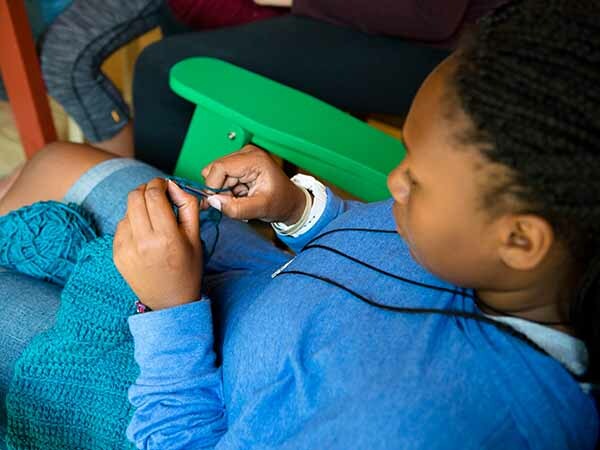 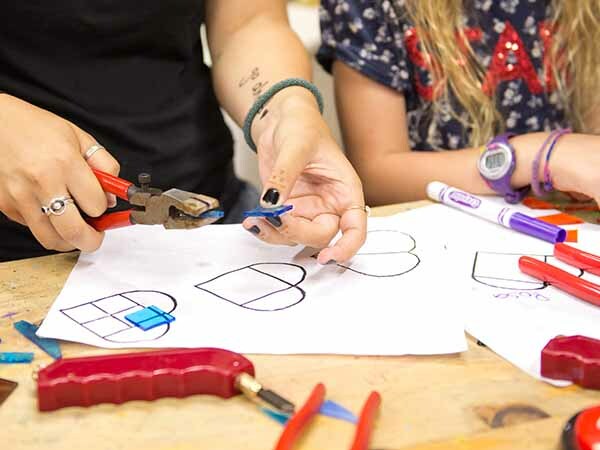 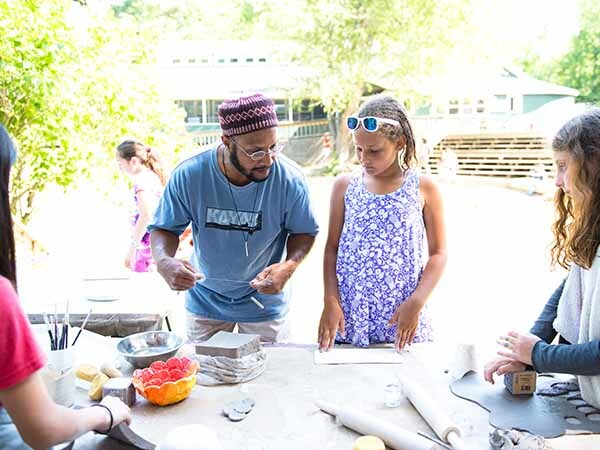 Campers receive technique instruction in painting, drawing, sculpture, stained glass, mask-making, pottery, jewelry-making, mosaics, stencil and public art. 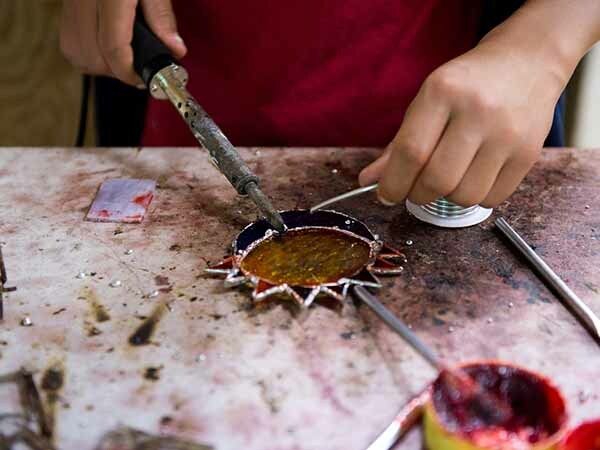 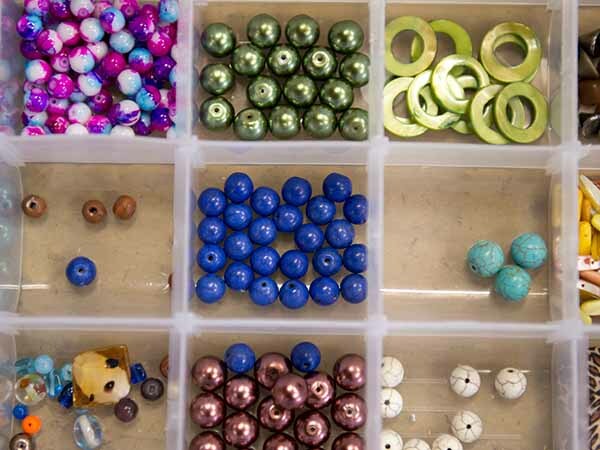 There are projects waiting to be crafted, pots to be thrown on the wheel and glass to be soldered. 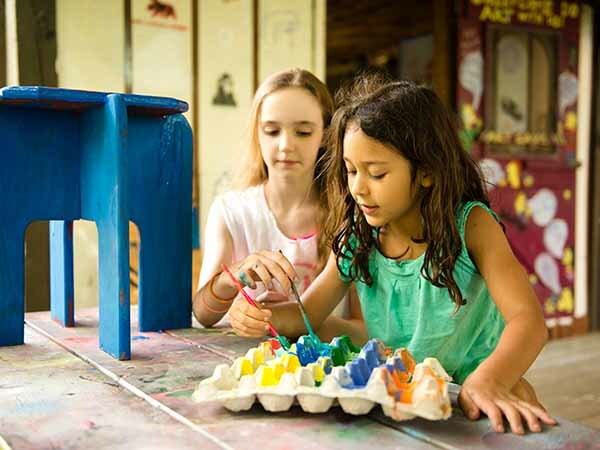 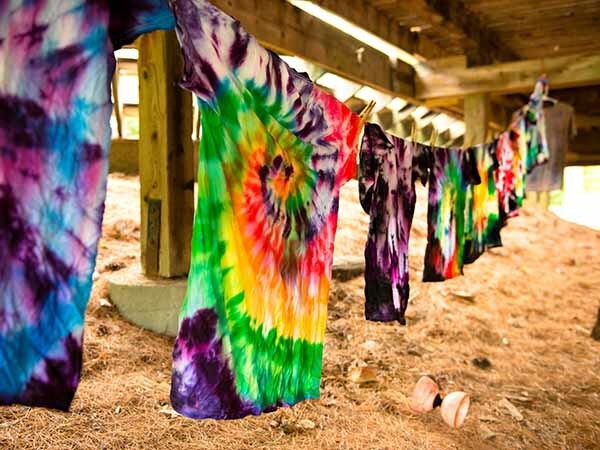 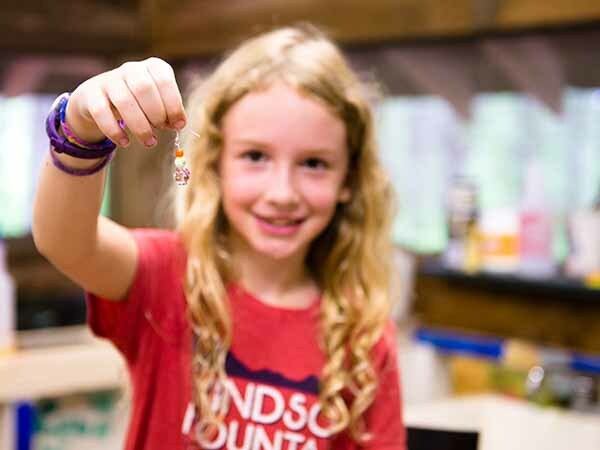 Camp is alive with color, from tie–dyed or batik t-shirts to felt banners, from face painting to traditional art on paper or canvas. 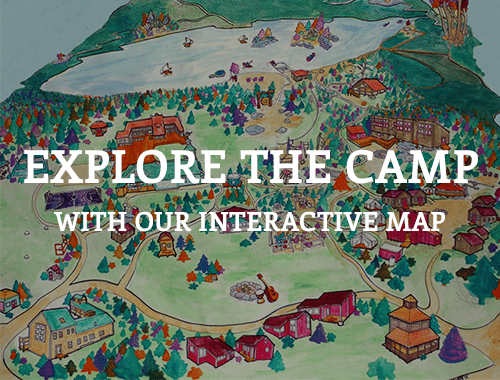 Come explore the possibilities! 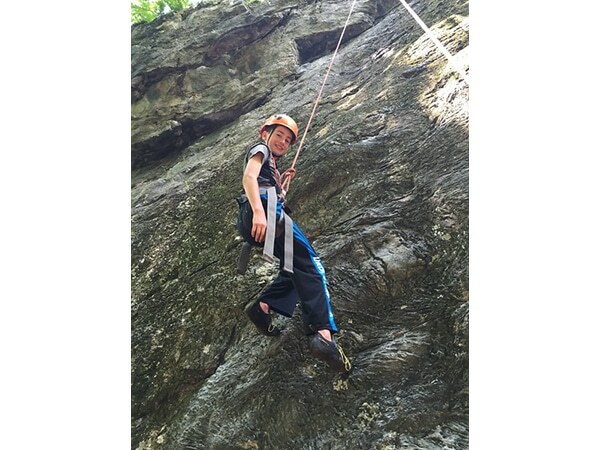 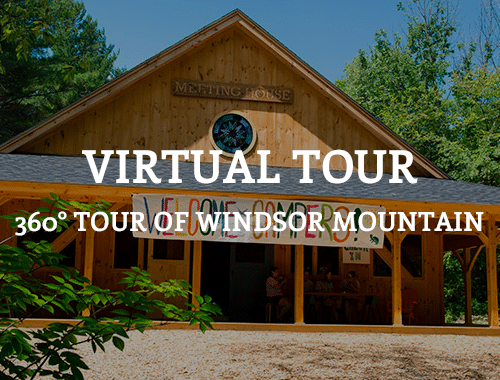 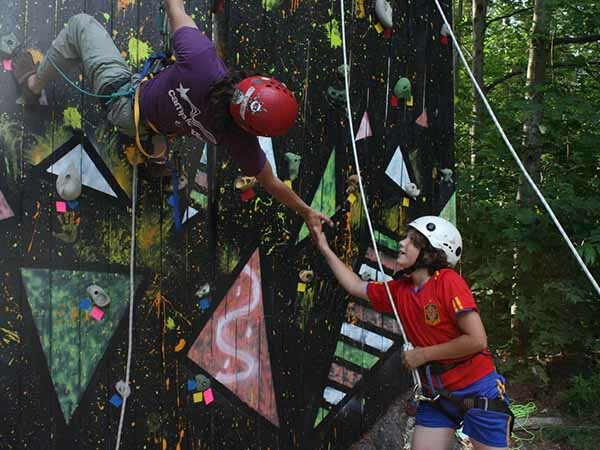 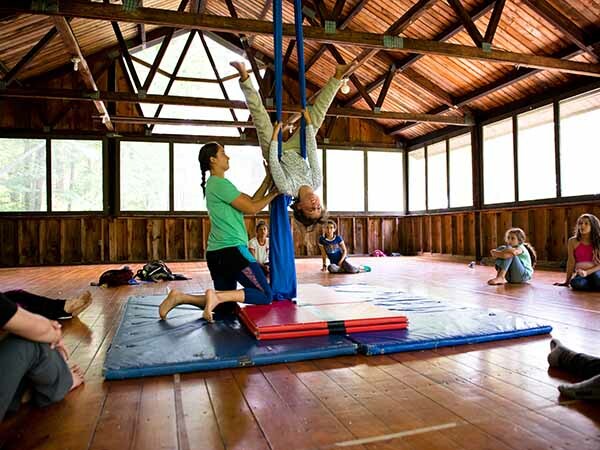 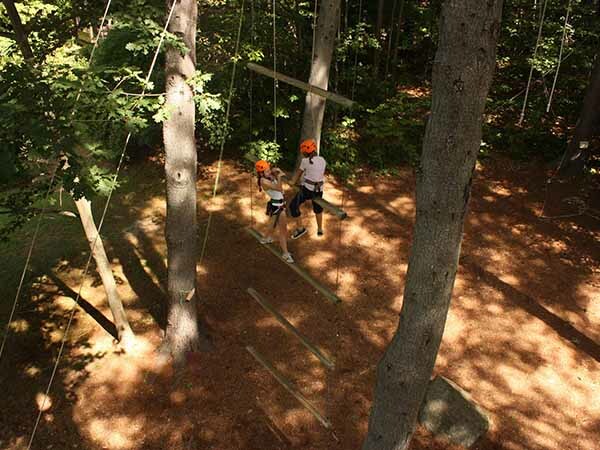 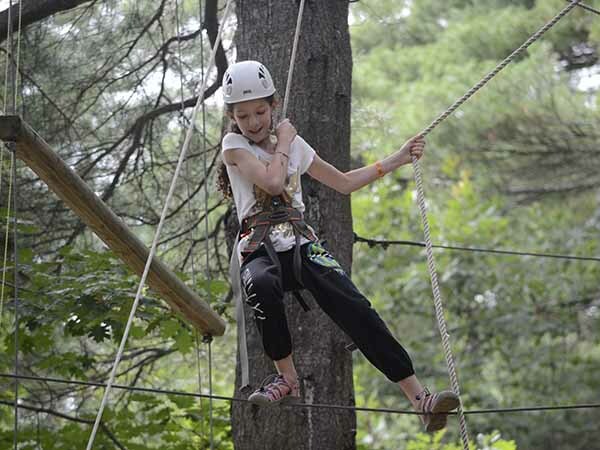 Windsor Mountain maintains a state–of–the–art ropes course, climbing wall and zip line. 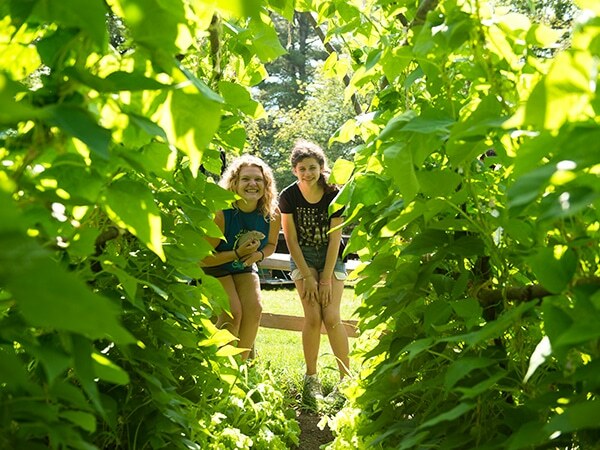 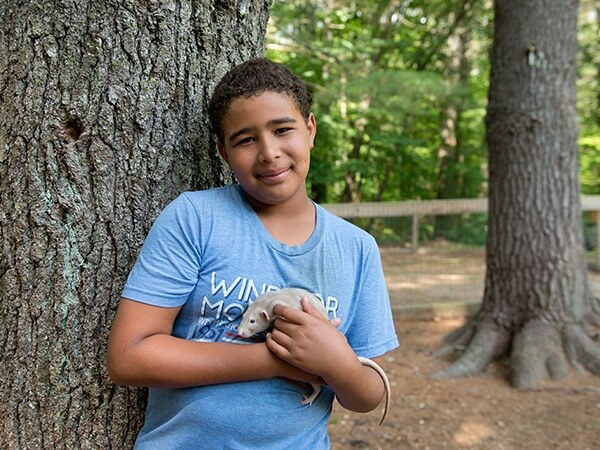 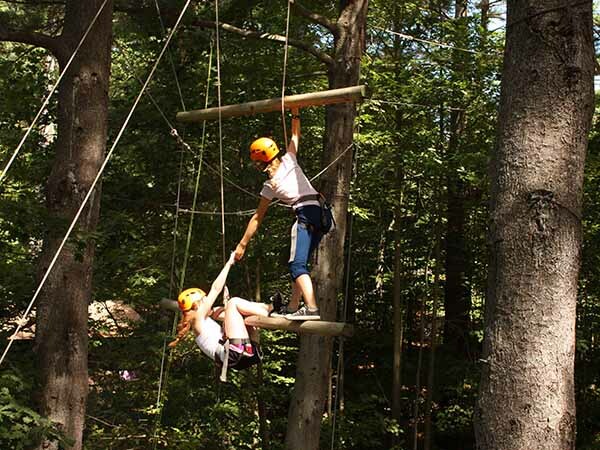 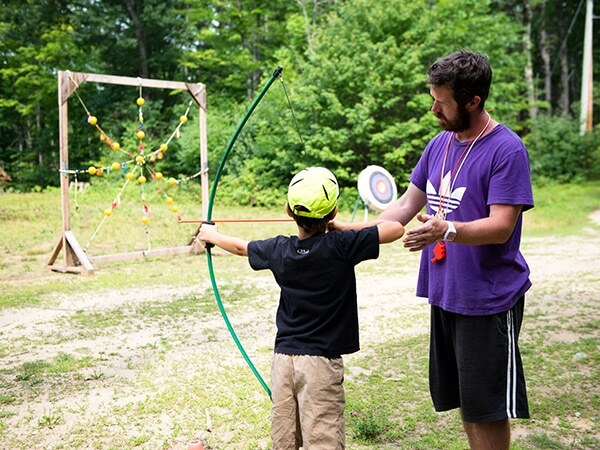 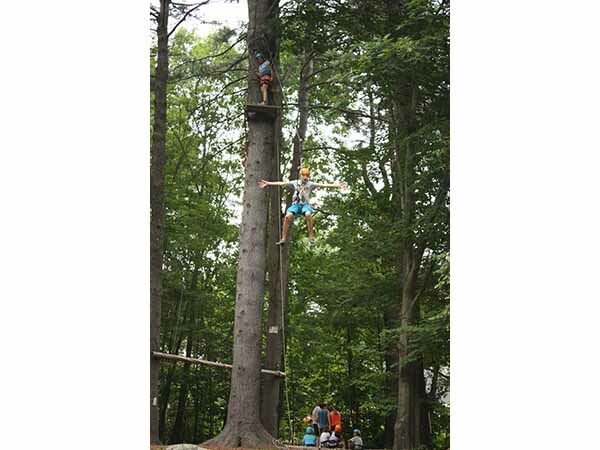 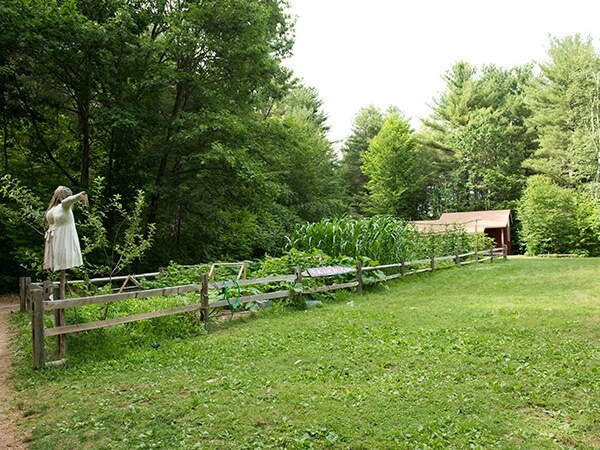 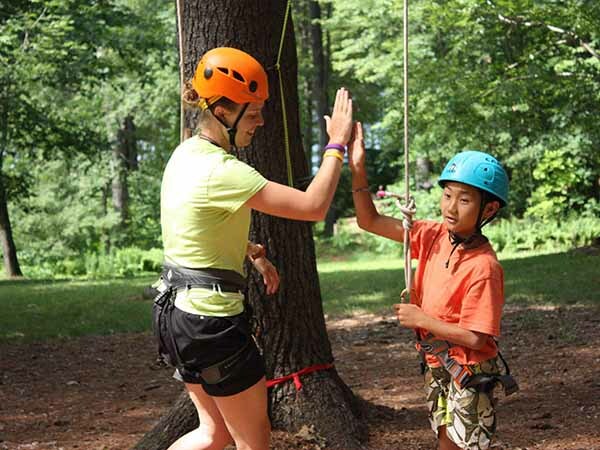 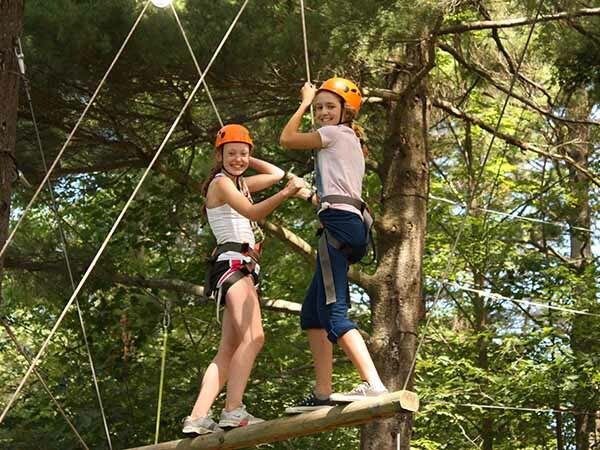 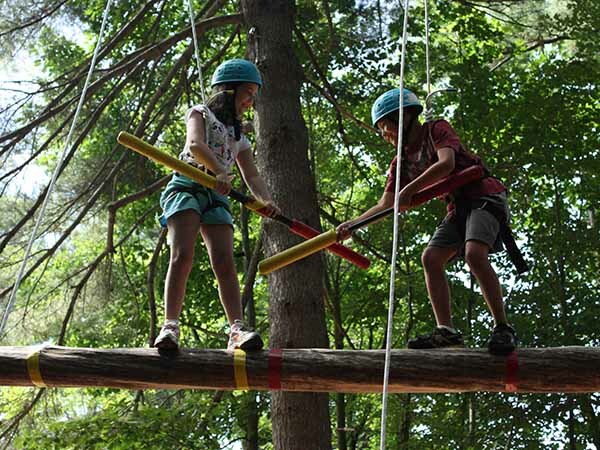 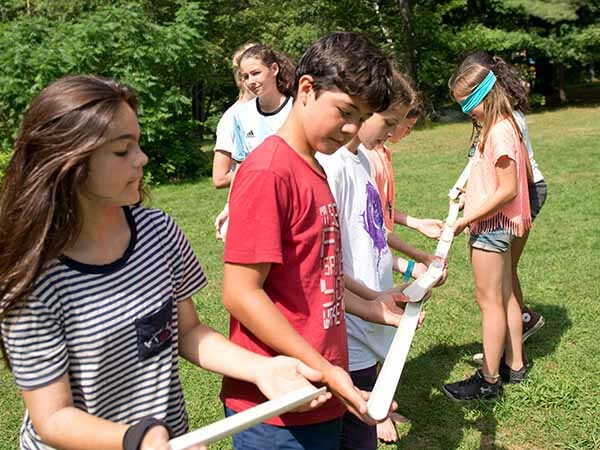 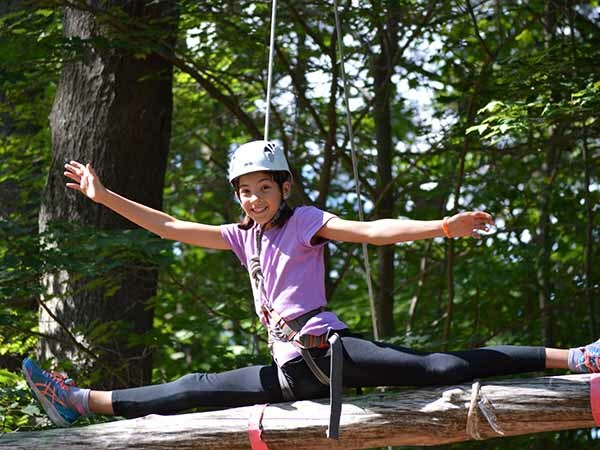 High in a white pine grove, our natural ropes course is designed to foster group cooperation and promote self–esteem. 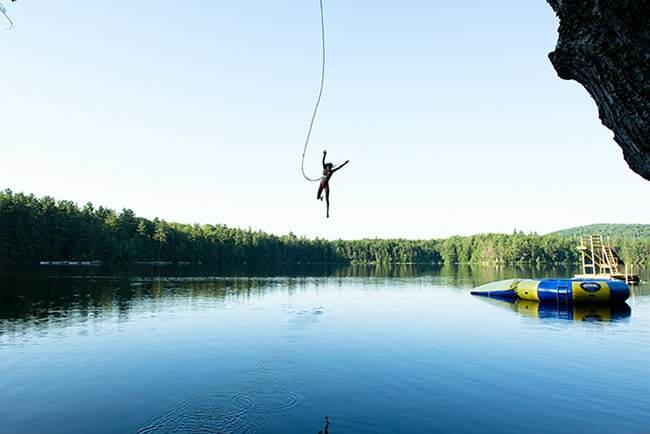 Campers scamper up a giant spider web, tightrope walk the high wire and fly down the 500–foot zip line (sometimes in a kayak!). 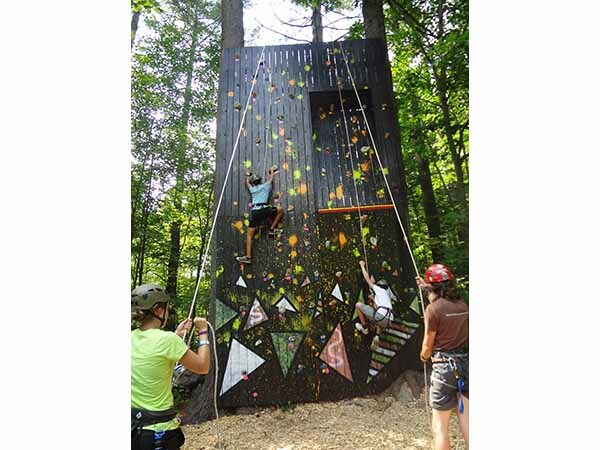 A brightly painted 30–foot climbing wall simulates rock-climbing conditions that serves as practice for rock-climbing expeditions to the Whites. 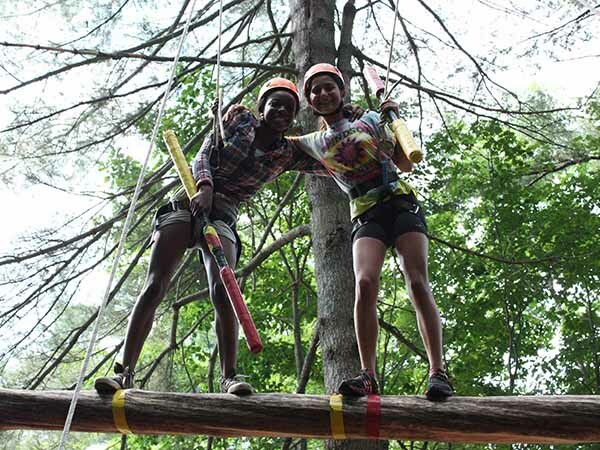 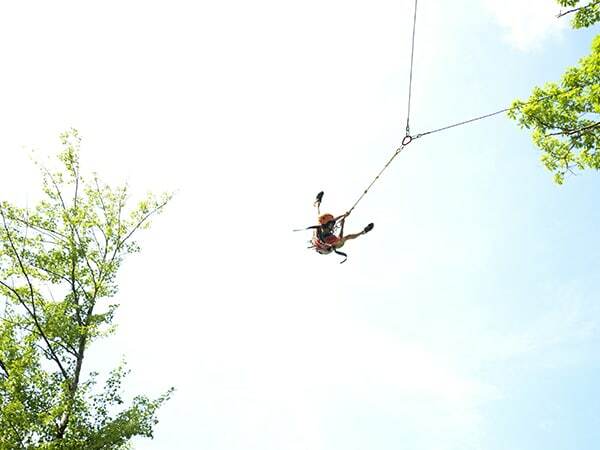 Our highly-trained and experienced ropes course staff has a keen eye for both fun and safety. 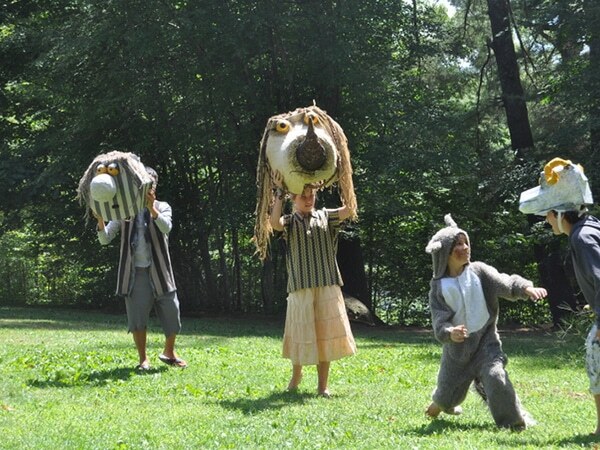 Creativity abounds in our Performing Arts department. 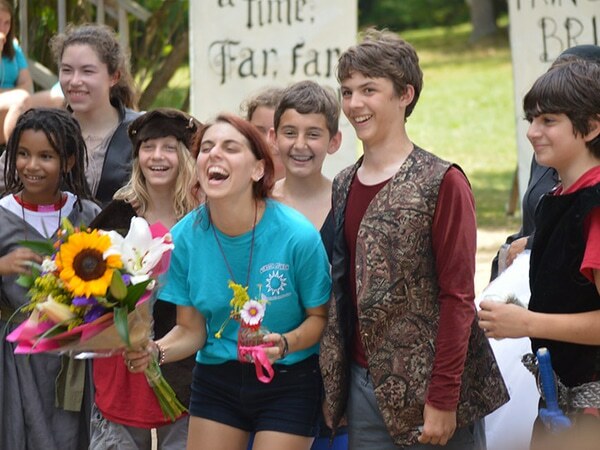 Activities are fun, fast-paced, physical, and include improvisation, acting, characterization, scene-study, theater games, comedy, dancing (from African to hip-hop), story-telling, costuming, stage design and make-up. 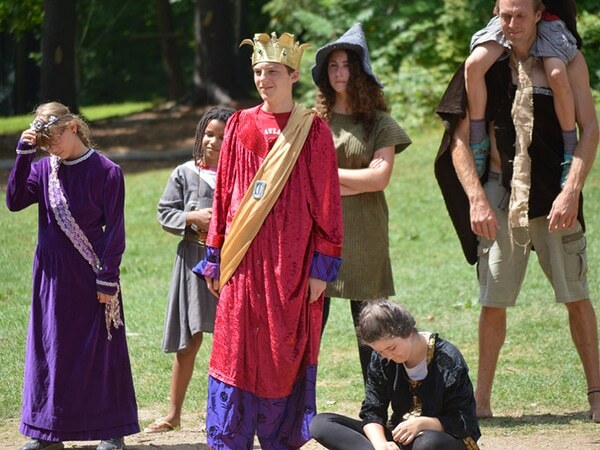 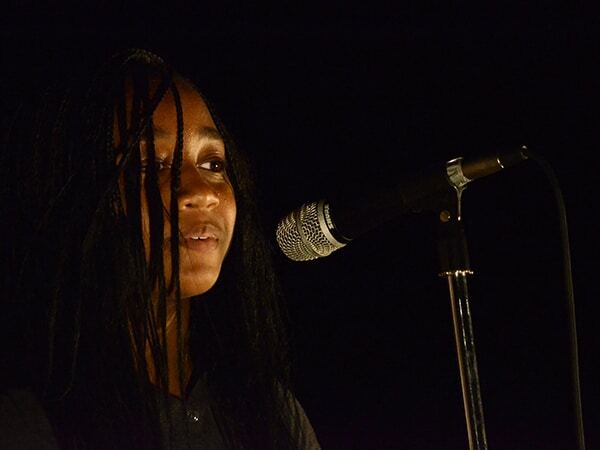 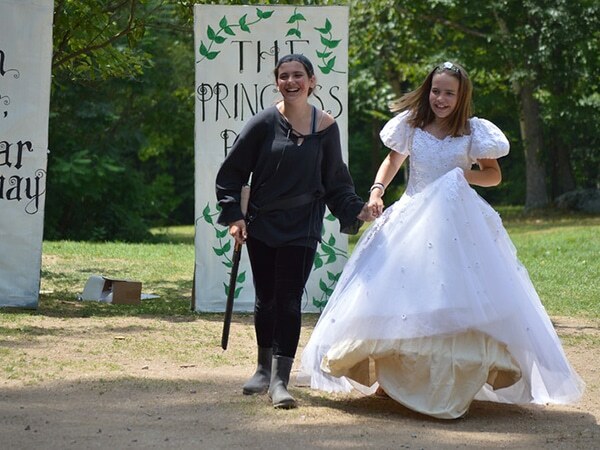 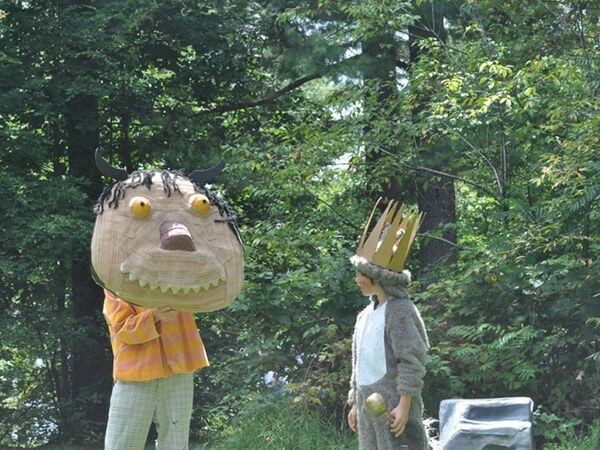 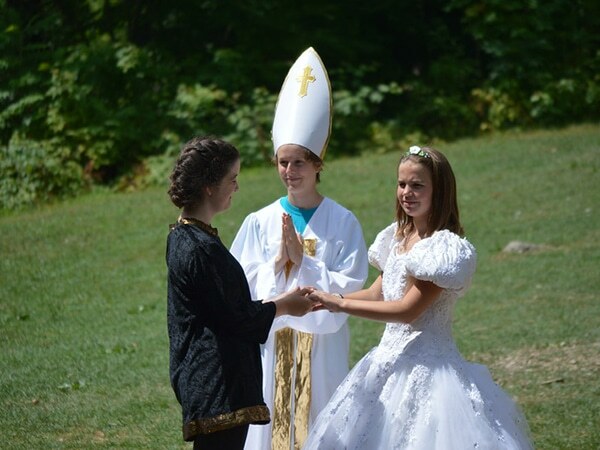 Our performing arts activities focus on fun and skill development for actors at every level of experience, and culminates with a performance during our Theatre Fest, which features original interpretations of classic stories and legends. 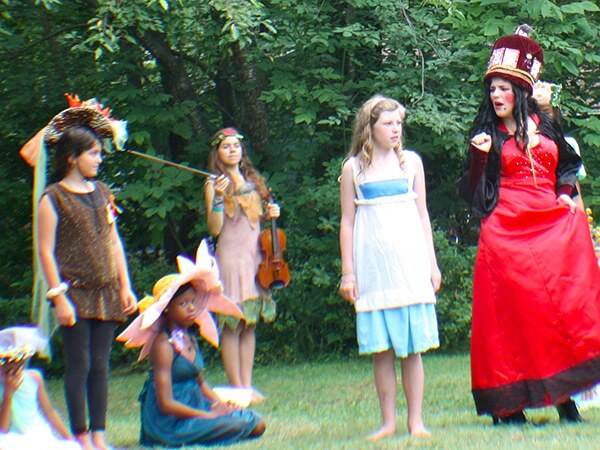 This past summer’s production of “Peter Pan,” was performed in the round and was imaginative, energetic and action-packed. 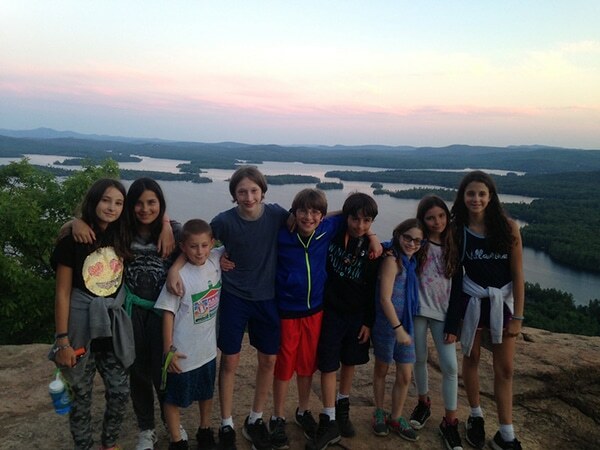 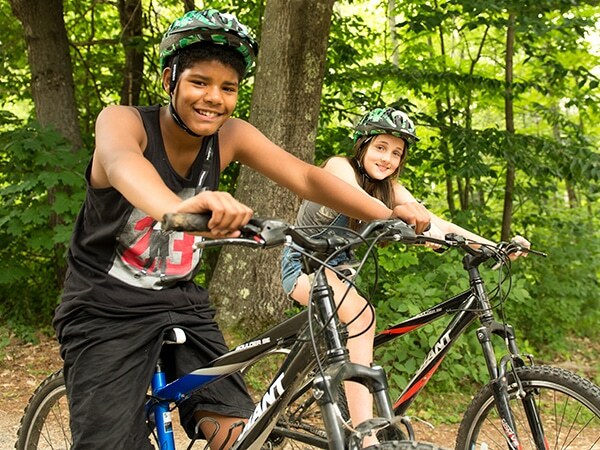 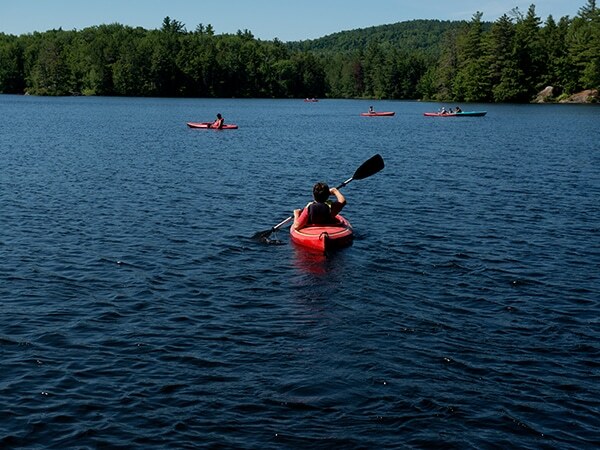 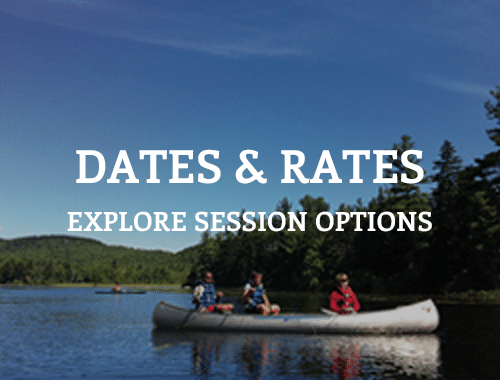 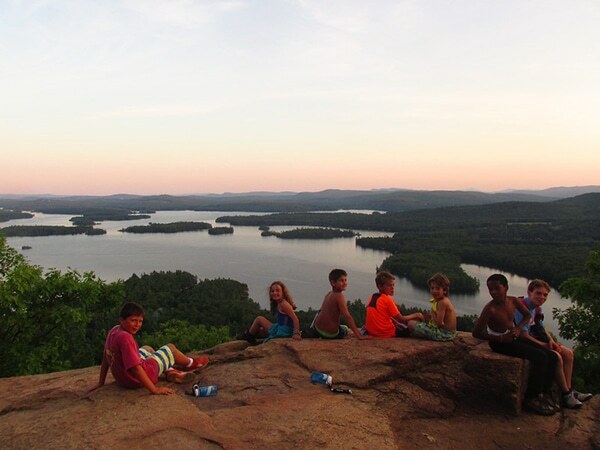 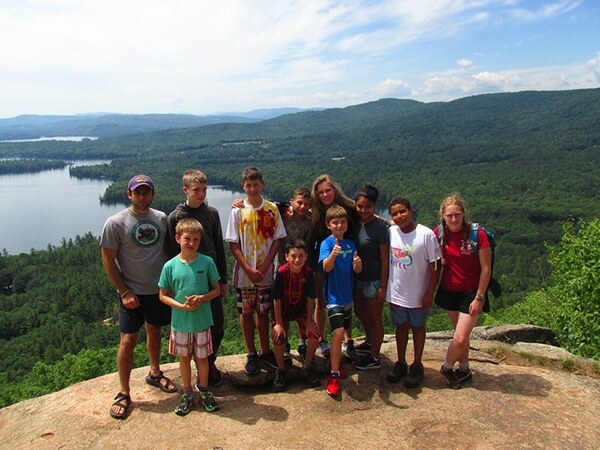 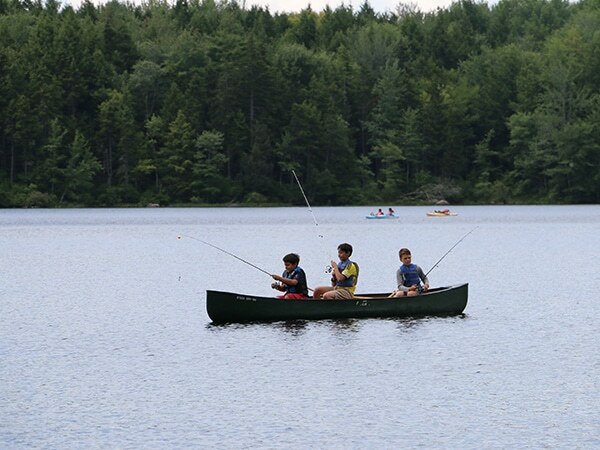 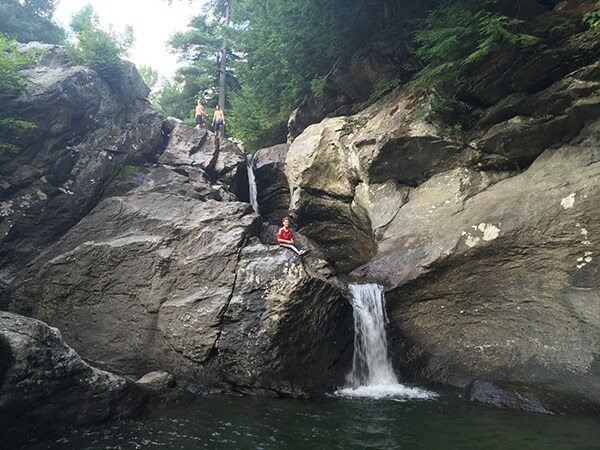 On foot or bike, in canoes or kayaks, campers have explored the mountains, lakes, bogs and streams of southern New Hampshire, all while developing camping techniques and outdoor survival skills. 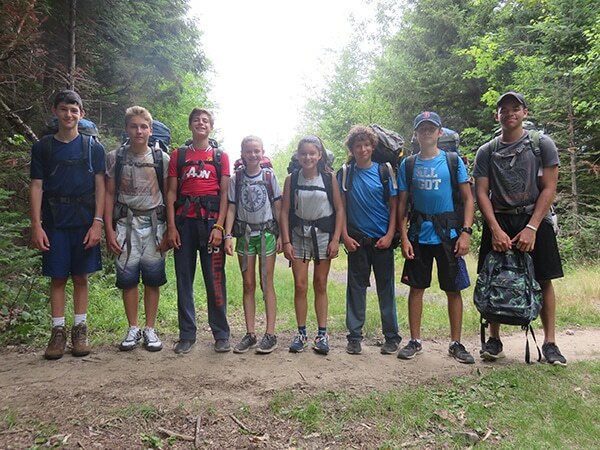 These outings are part of our Wilderness Adventure Program which takes small groups of students into the wild for three days at a time. 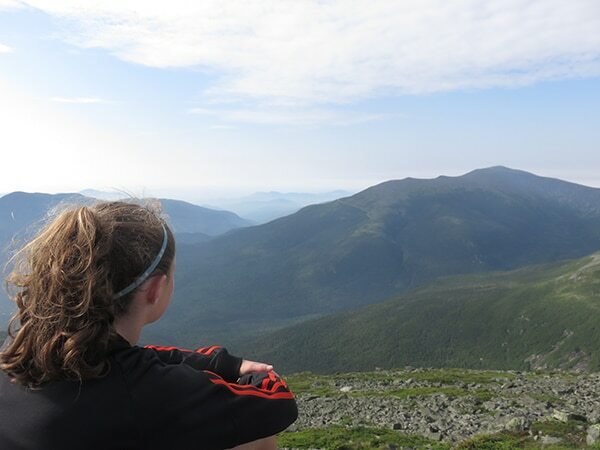 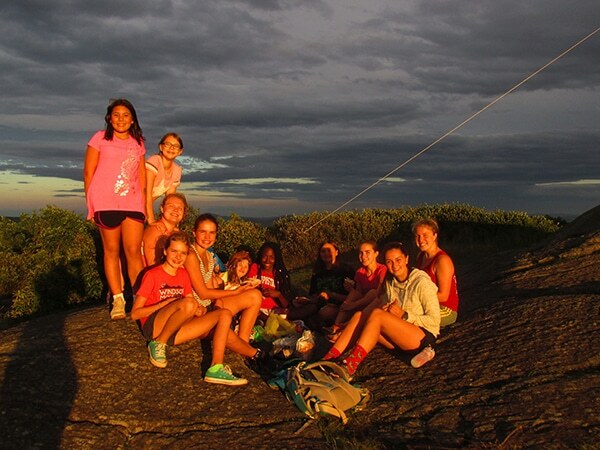 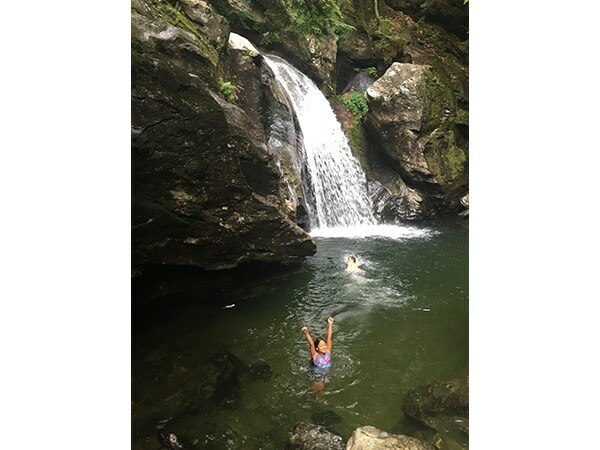 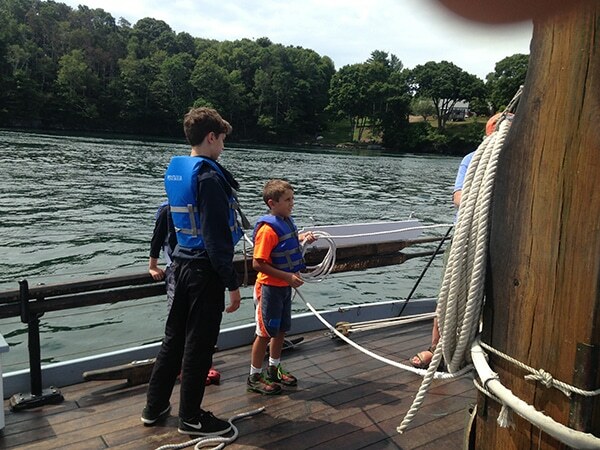 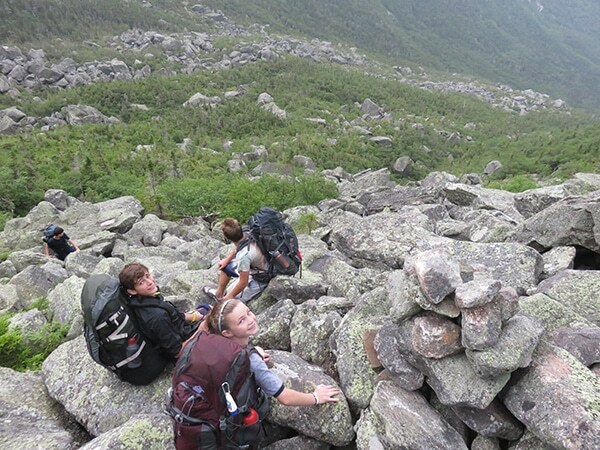 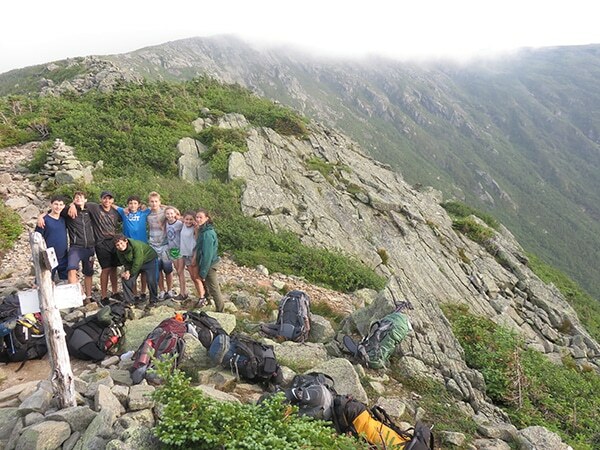 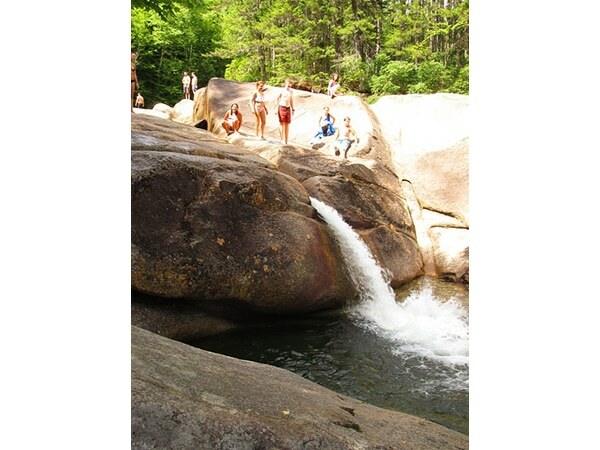 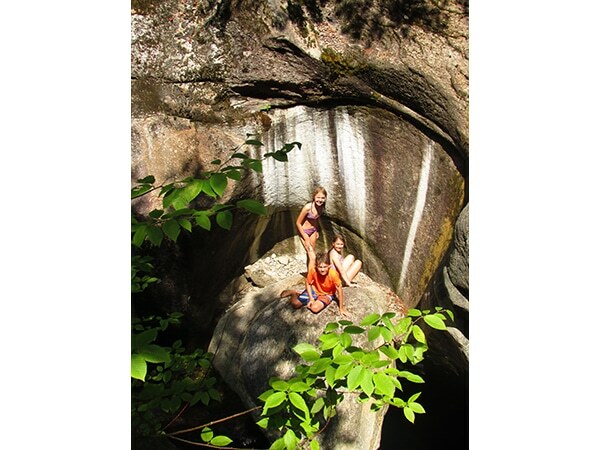 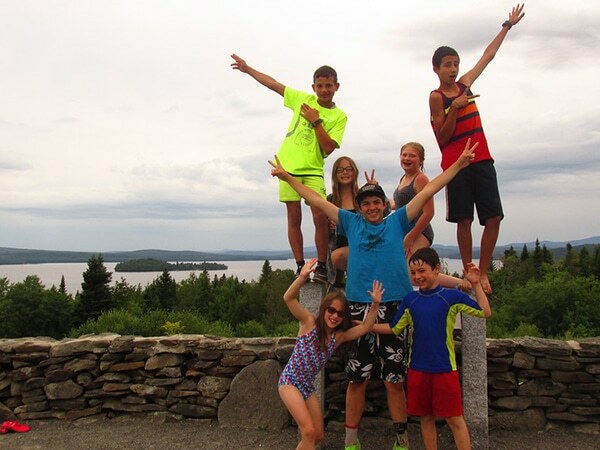 Campers on these treks learn to orient by map and compass, rock climb, mountain bike, sail, backpack, canoe, kayak, and more in the White or Green Mountains, or on the beautiful coast of Maine. 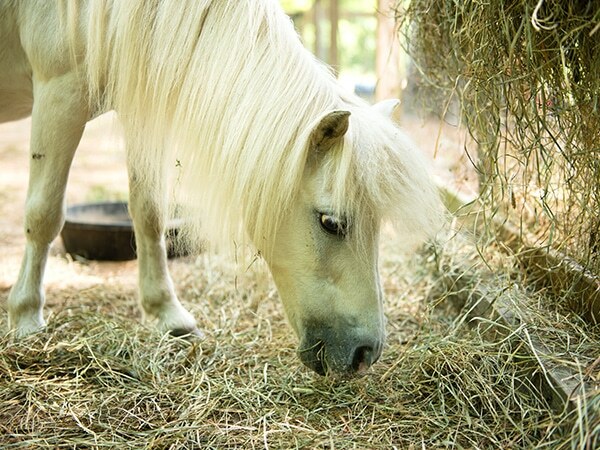 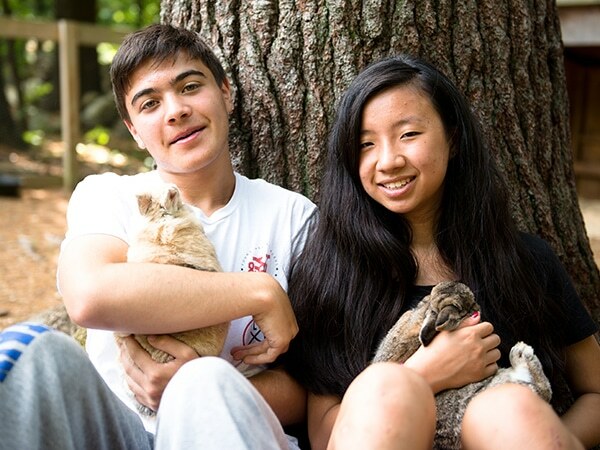 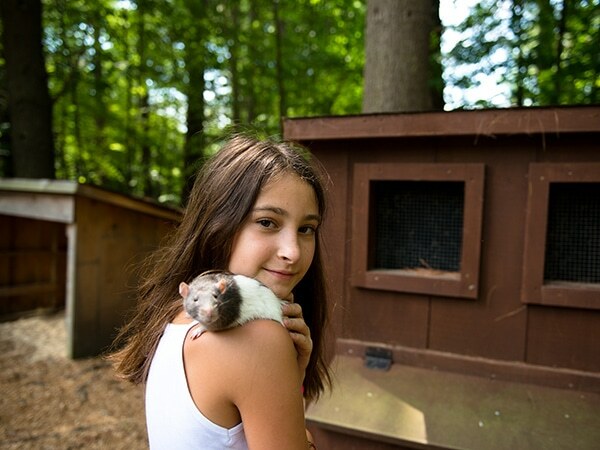 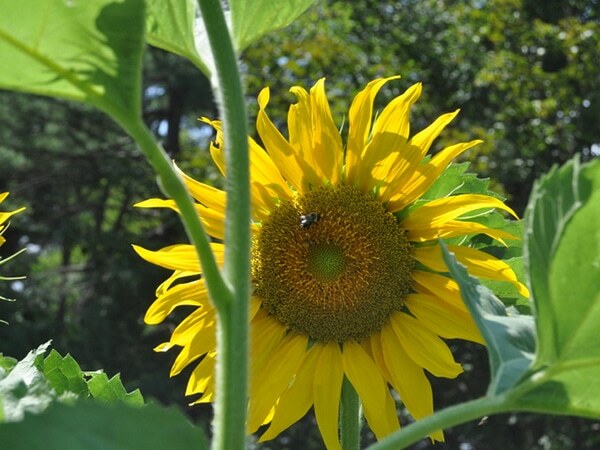 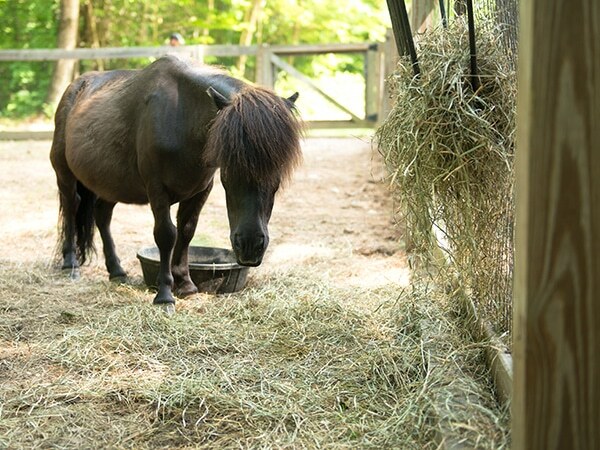 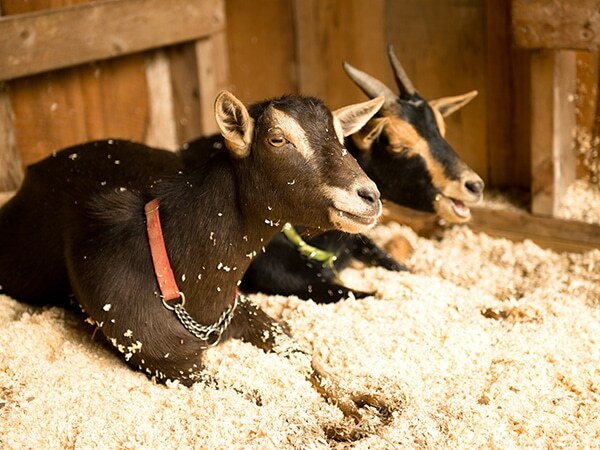 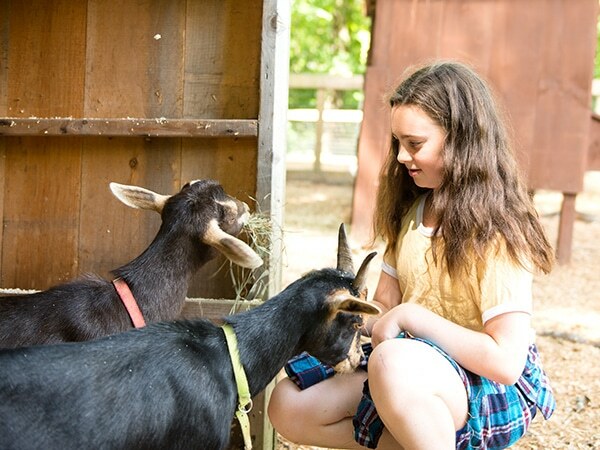 Alpacas, goats, bunnies, and chickens… lettuce, tomatoes, cucumbers, carrots, broccoli, sunflowers, herbs… our farm is lively and our organic garden is lush. 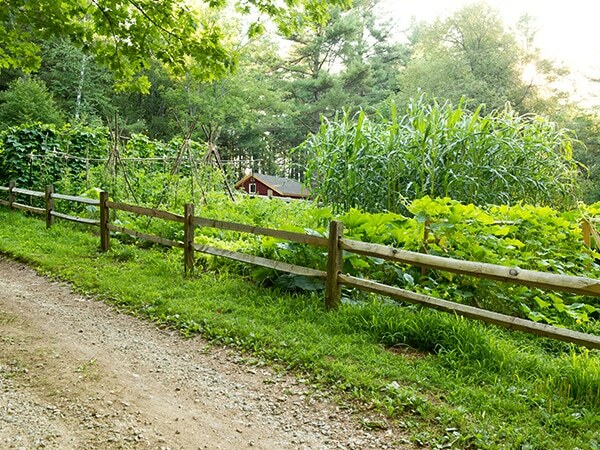 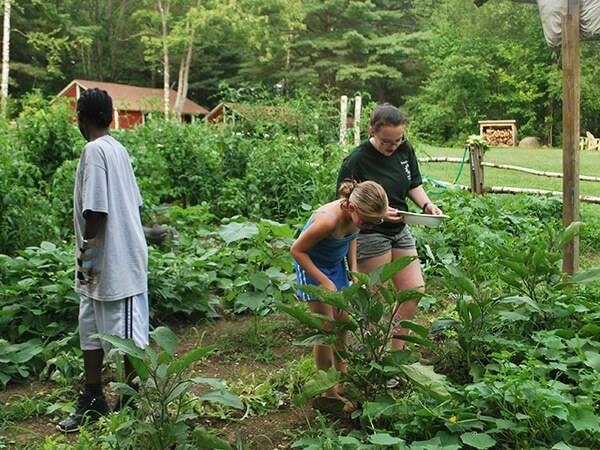 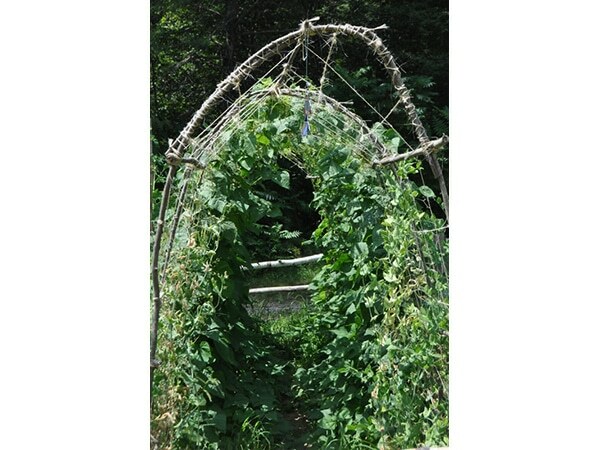 Located in the heart of camp, a path runs through it so we are reminded of where our food comes from. 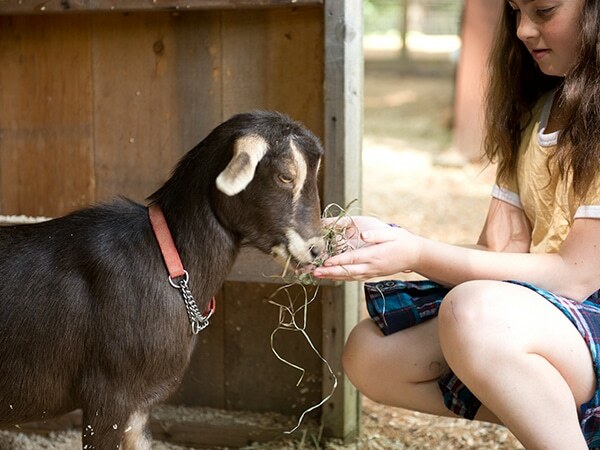 We share responsibilities for weeding, harvesting and caring for the animals. 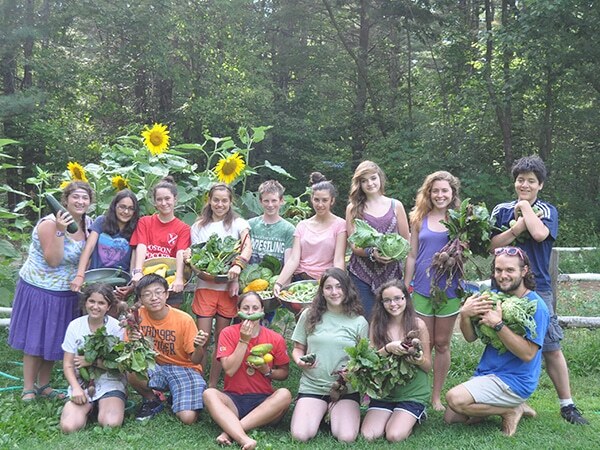 We make solar ovens, compost, grow seedlings, perform service projects and raise awareness about the environment. 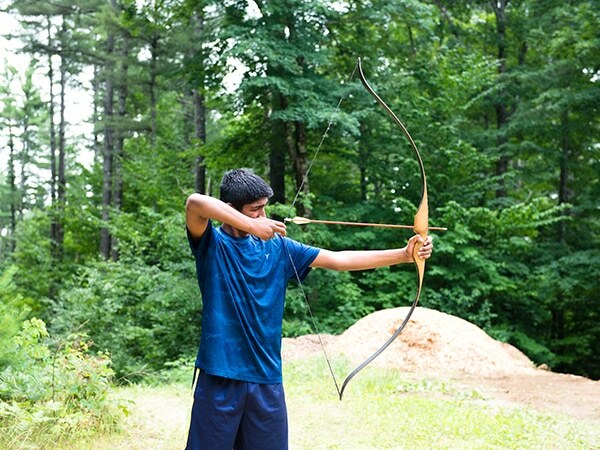 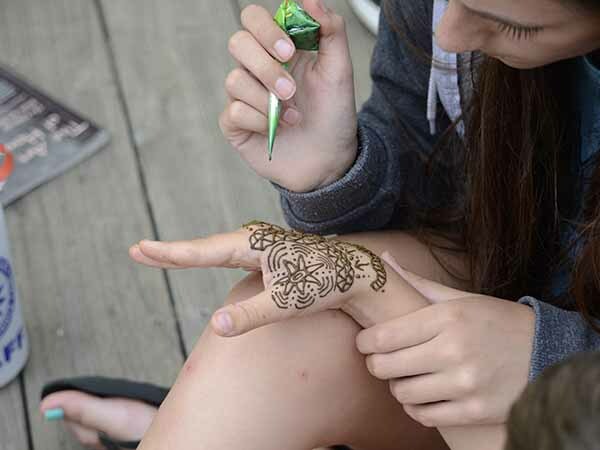 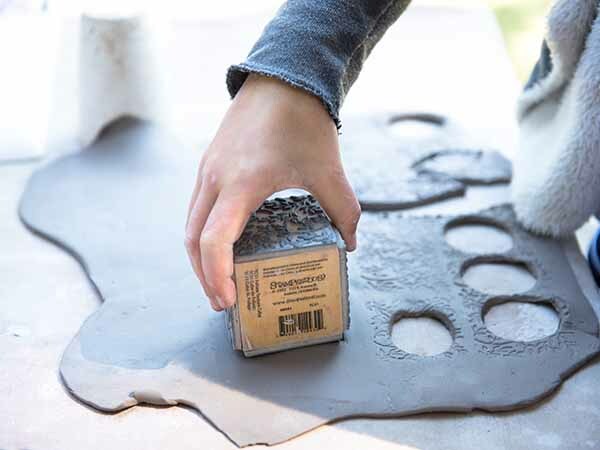 Being at camp means spending time outdoors and becoming comfortable in a natural environment where you can explore, experiment and create. 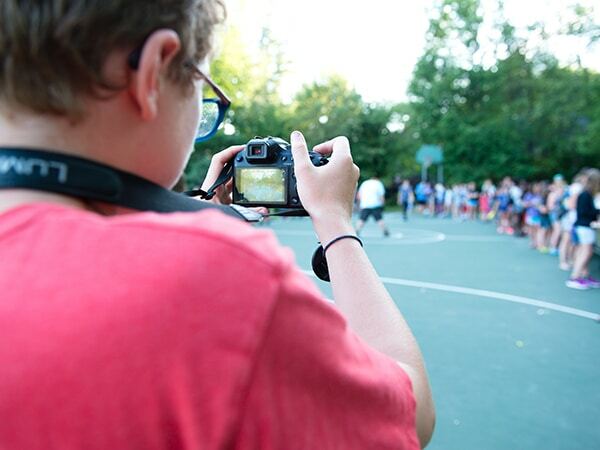 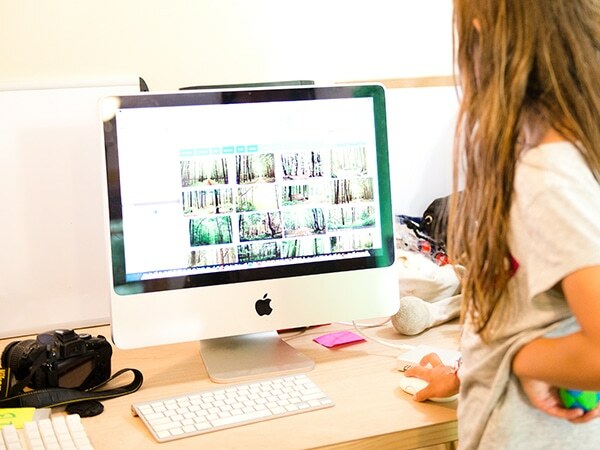 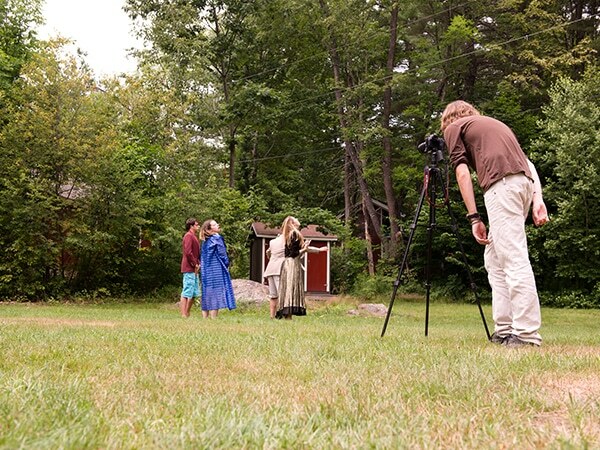 Our video and photography program allows campers to learn all aspects of video production and photography. 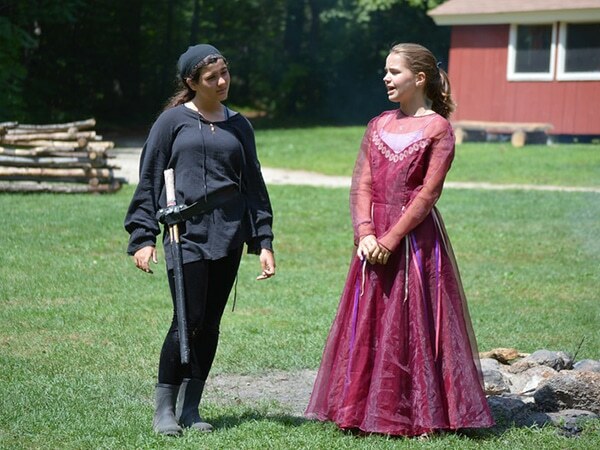 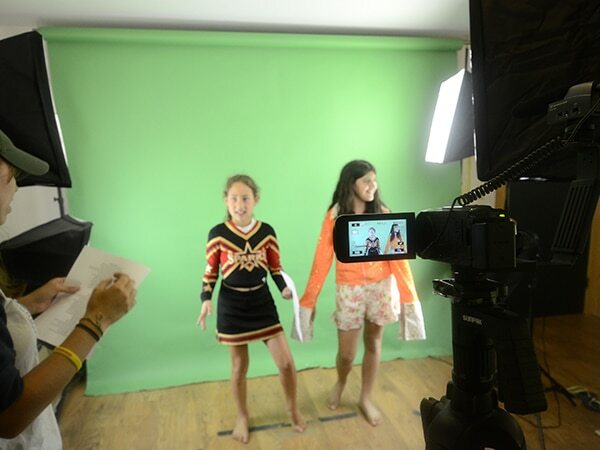 In video, campers learn script and screenplay writing, production, directing, and video editing. 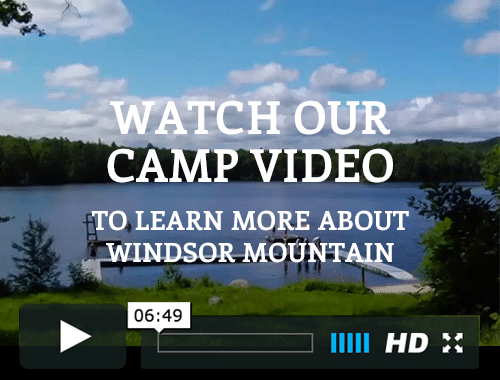 Campers create mock commercials, music videos, the Windsor Weekly Comedy News Hour, and other fun and unique shorts. 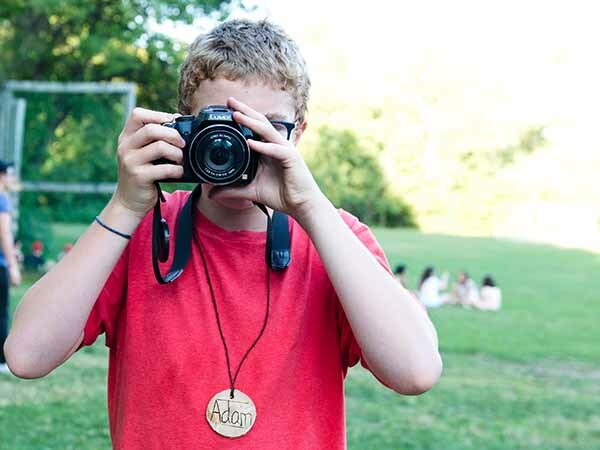 In photography, campers are encouraged to be creative as they develop skills in photojournalism, documentary and portrait photography. 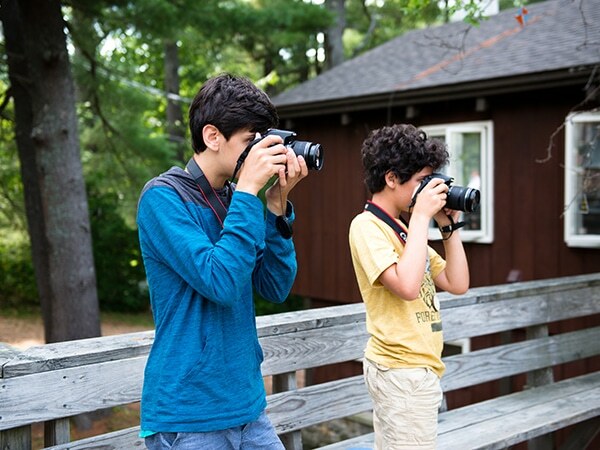 Campers gain a critical eye while they learn about framing, composition, lighting, emotions, story-telling and editing in Photoshop. 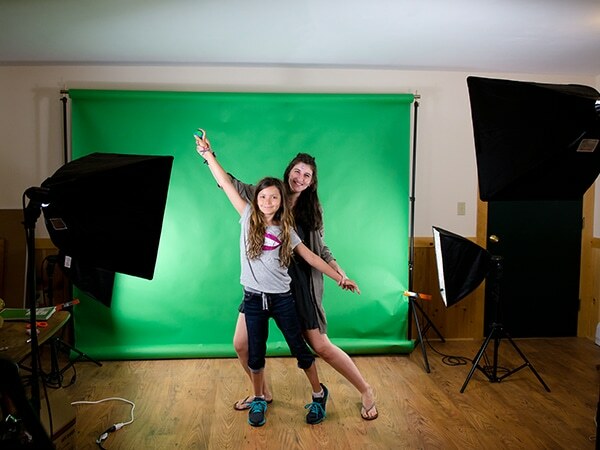 Campers have a blast developing their creative skills in our video and photography lab.